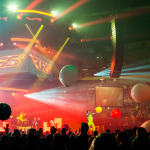 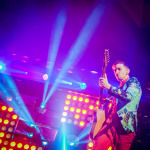 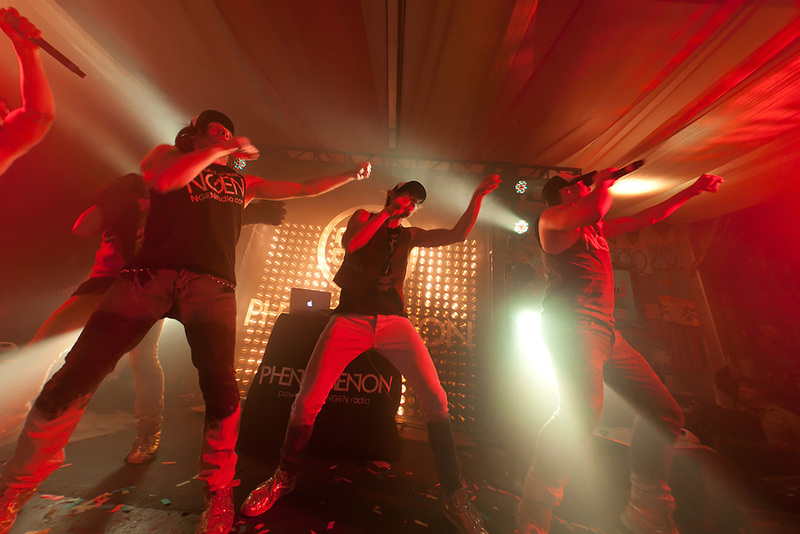 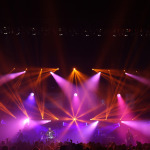 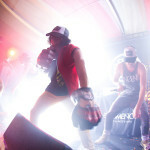 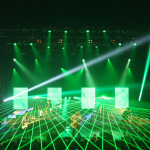 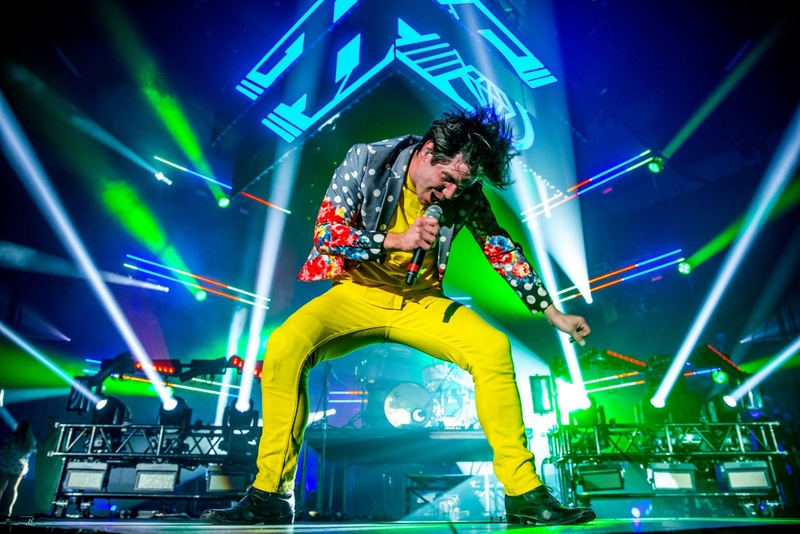 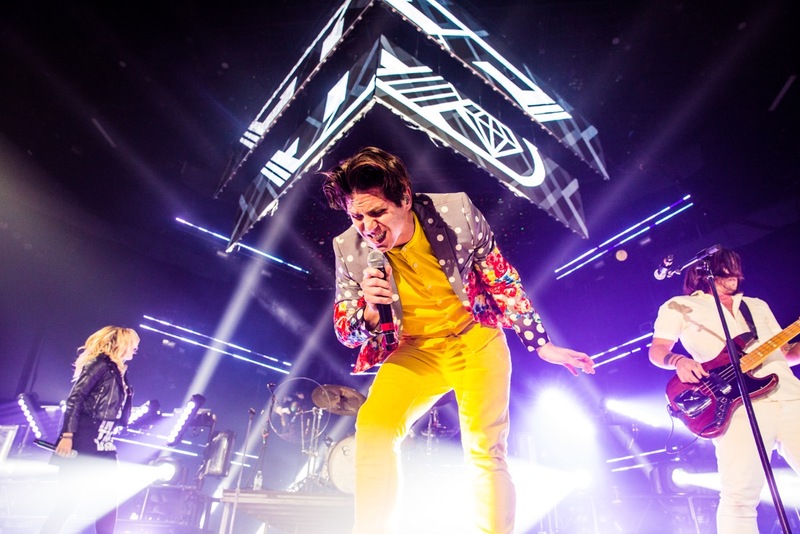 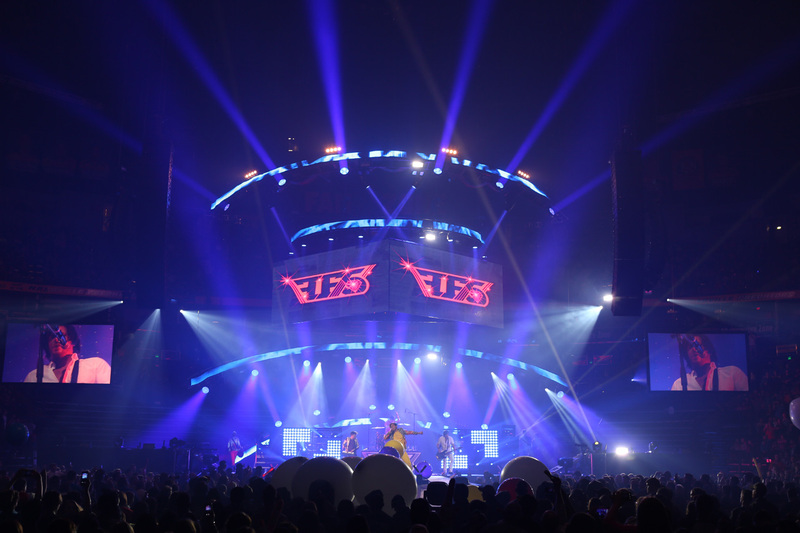 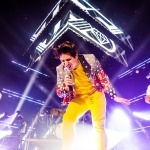 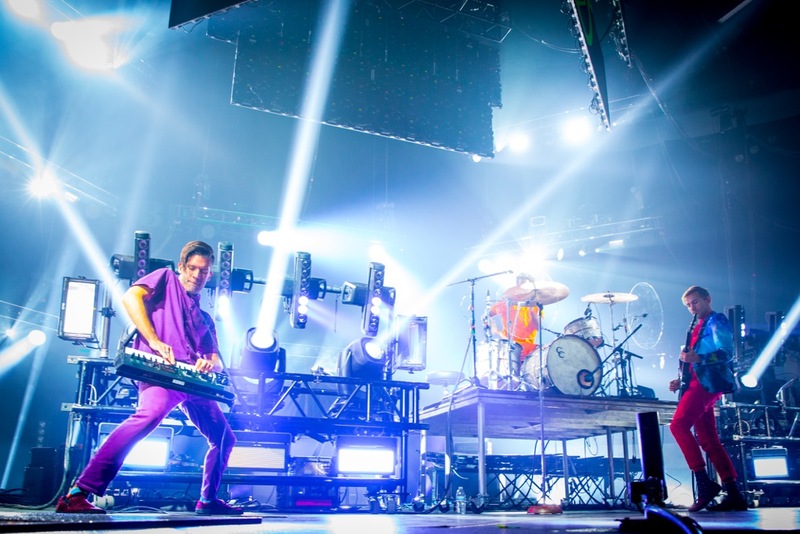 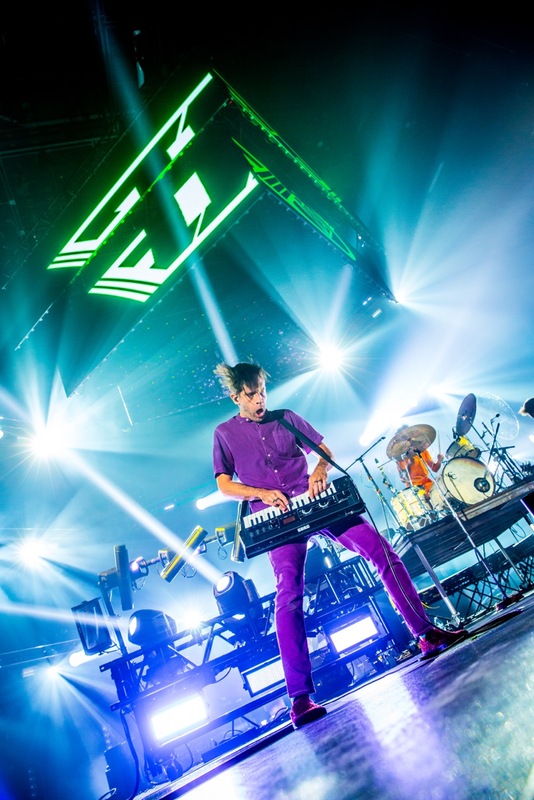 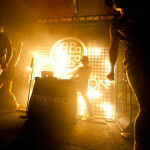 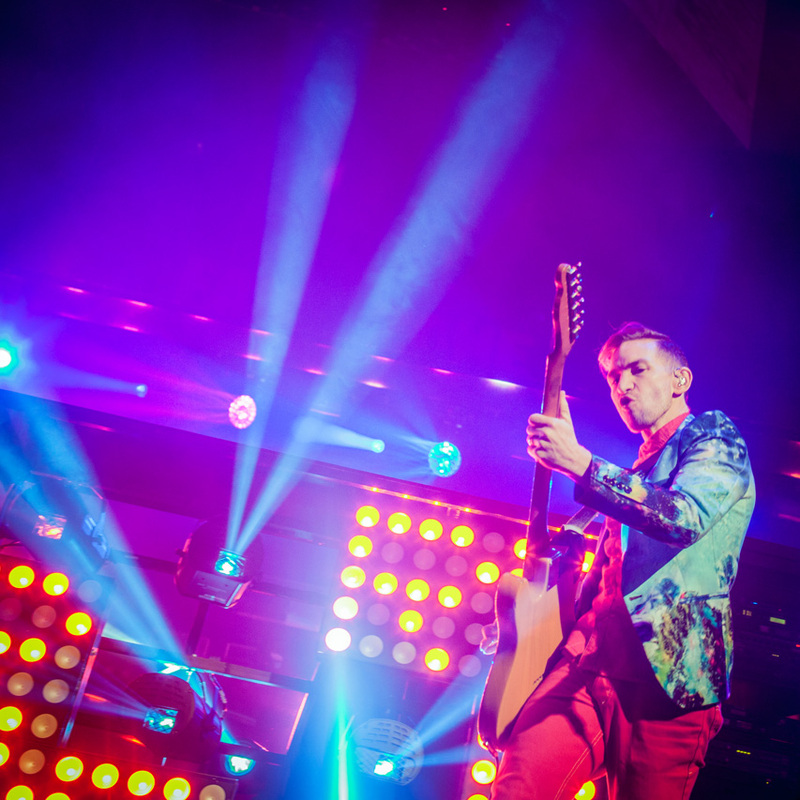 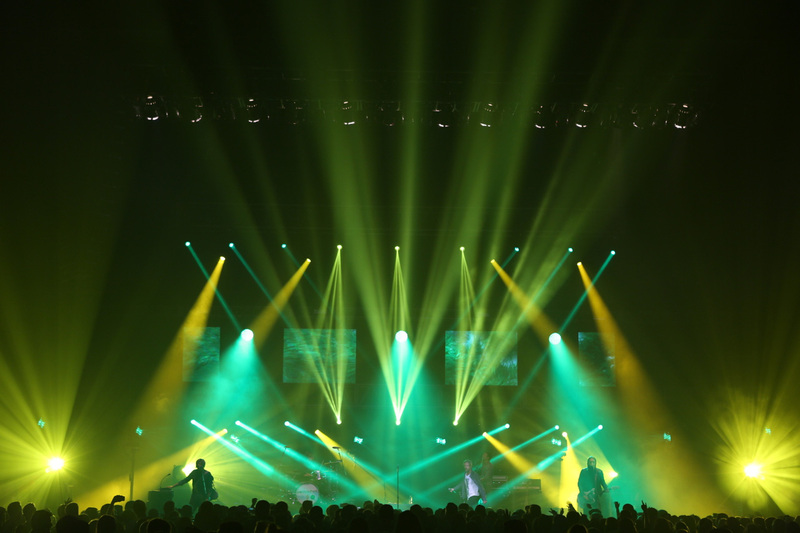 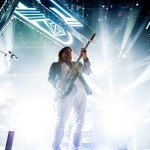 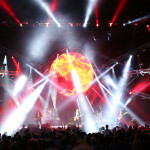 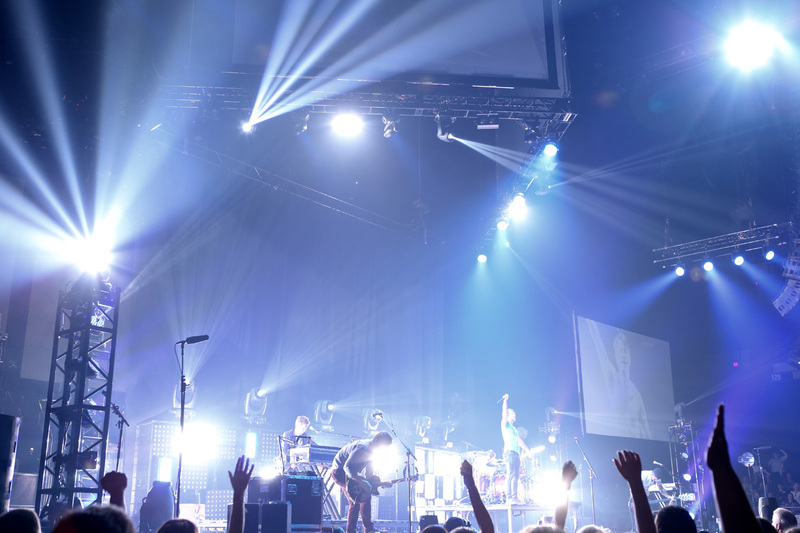 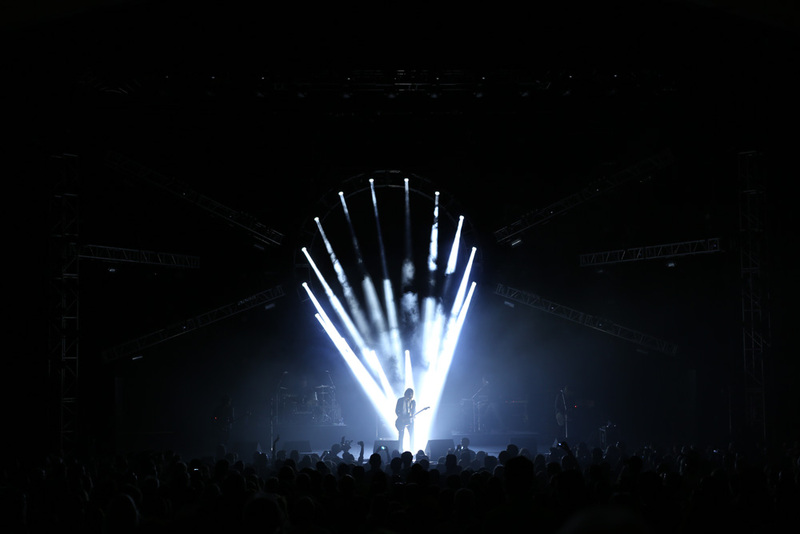 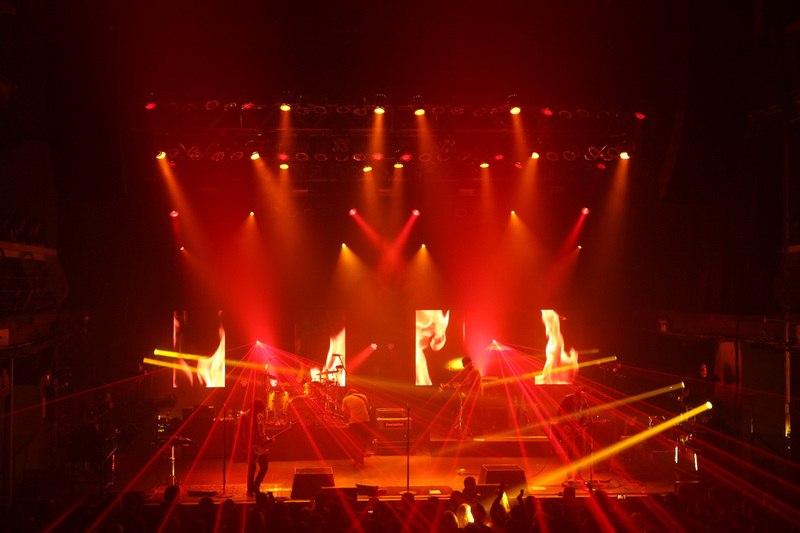 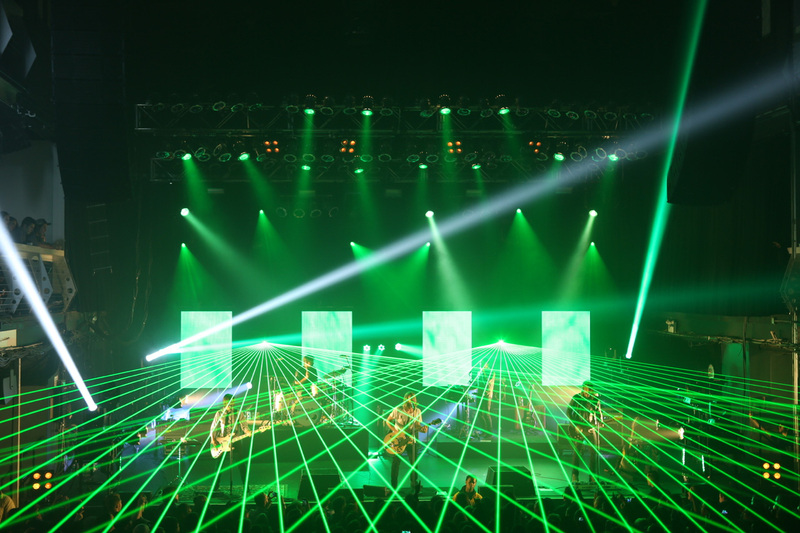 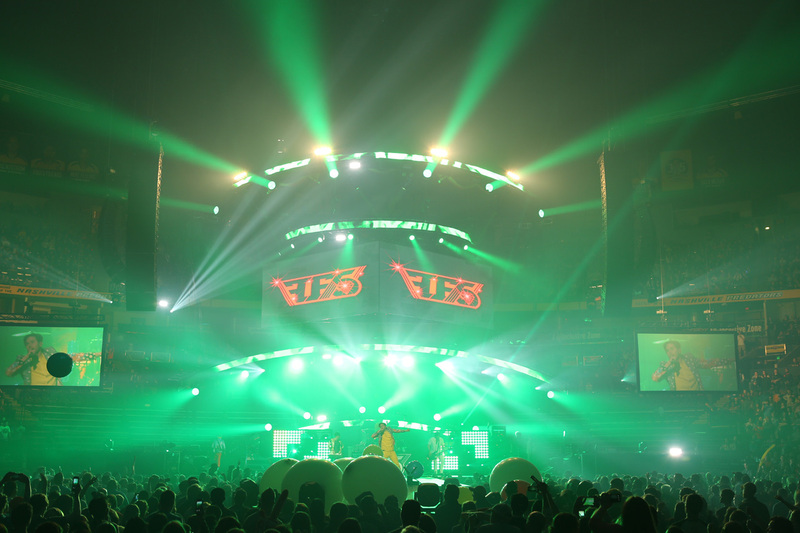 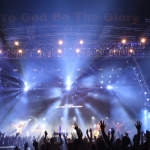 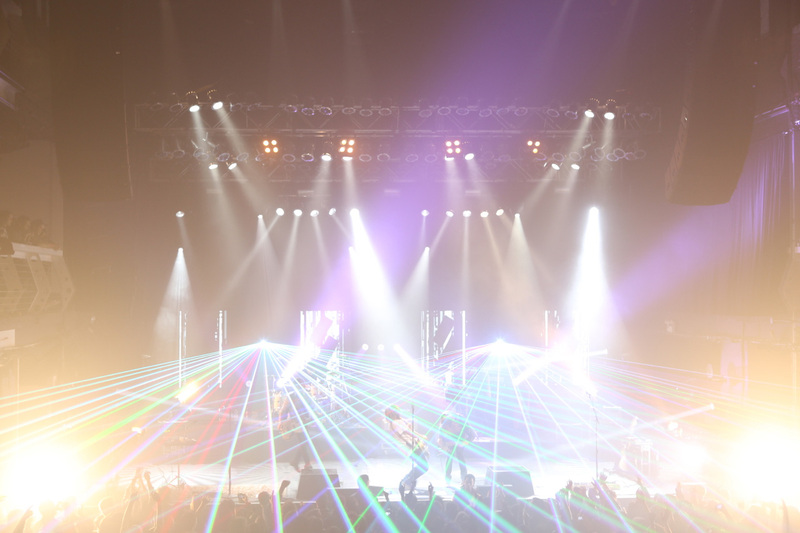 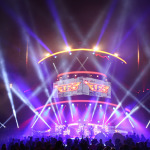 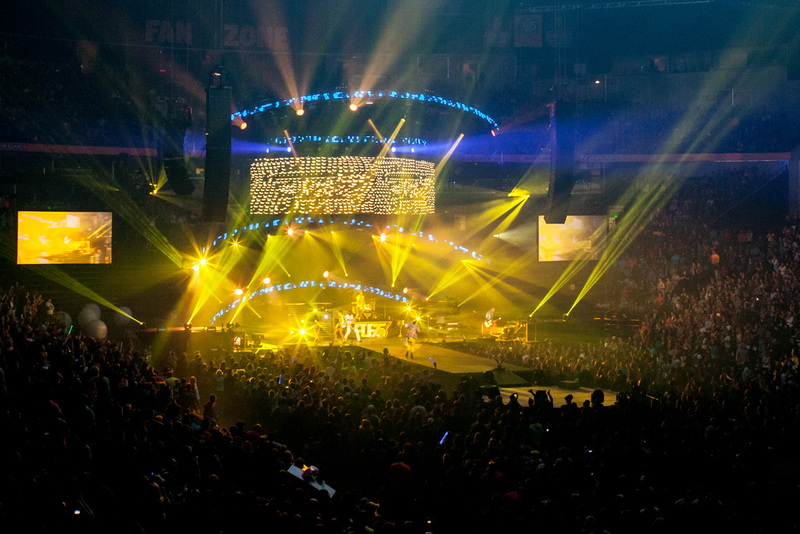 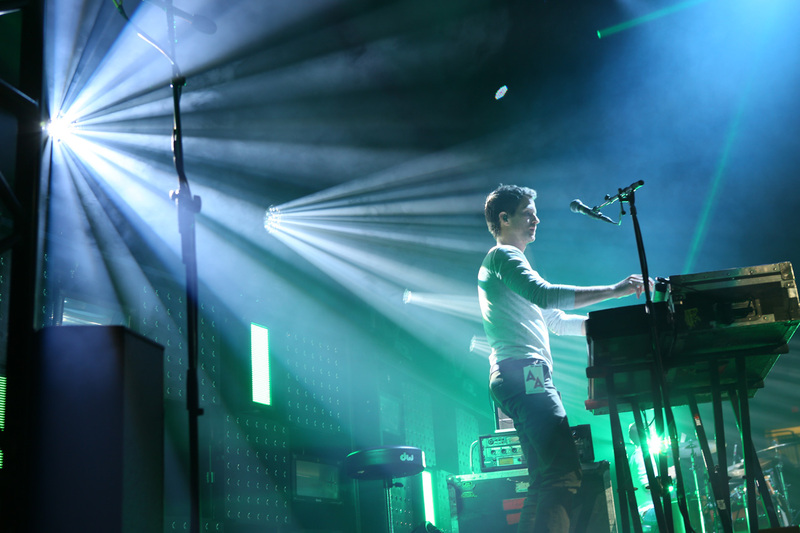 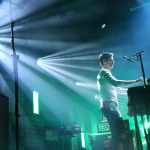 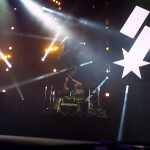 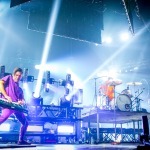 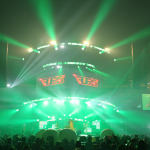 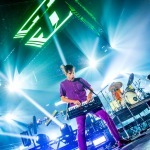 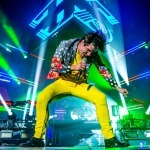 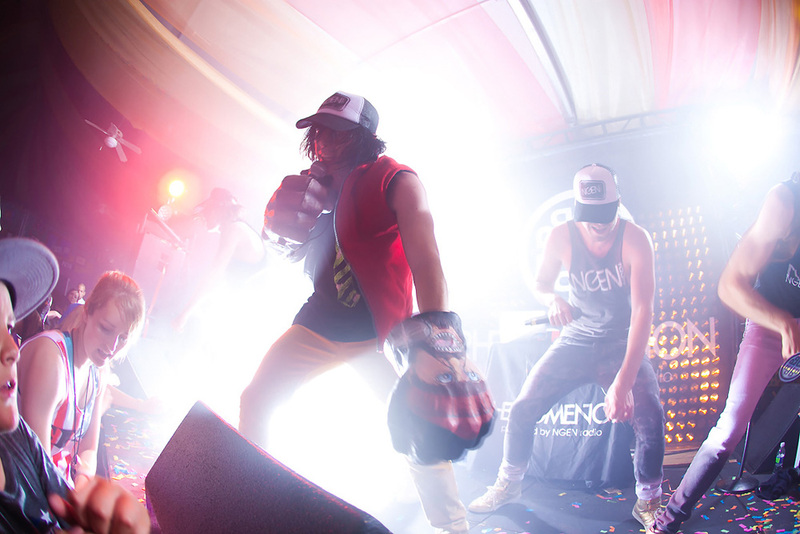 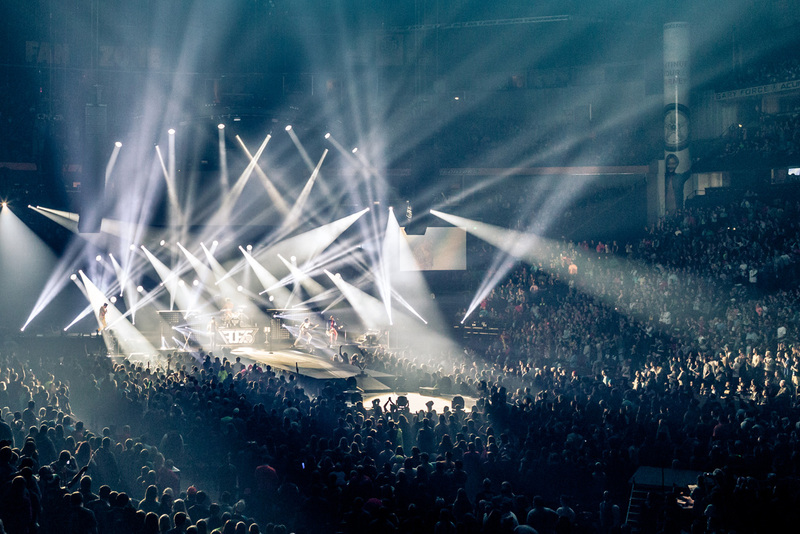 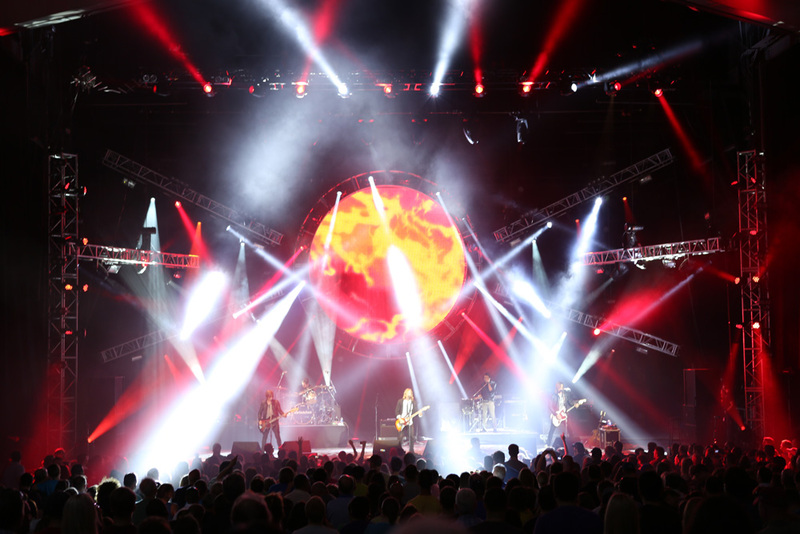 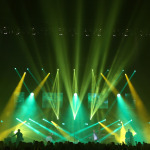 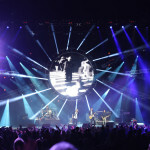 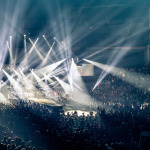 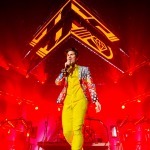 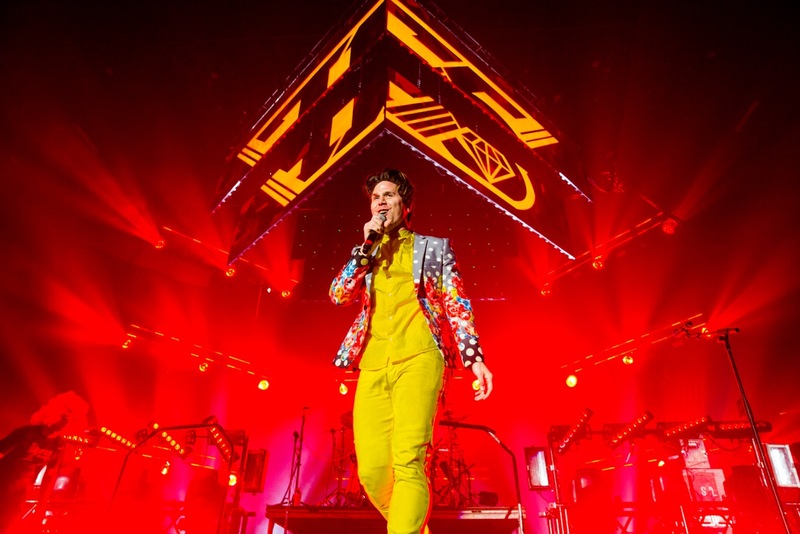 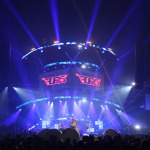 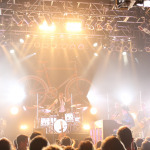 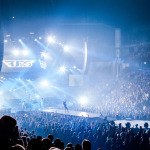 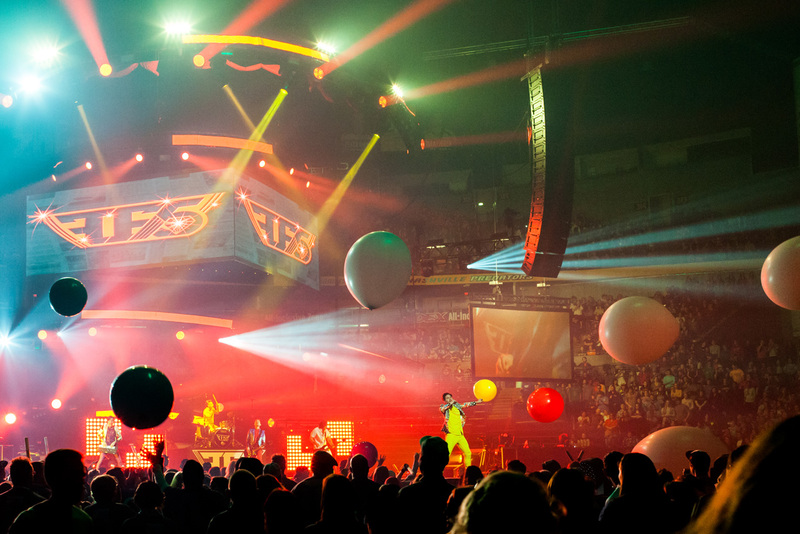 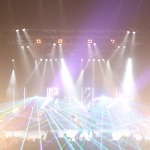 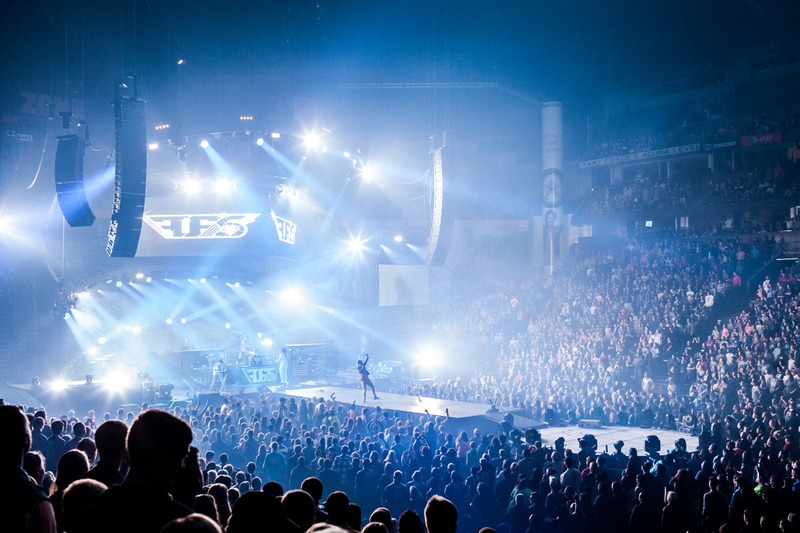 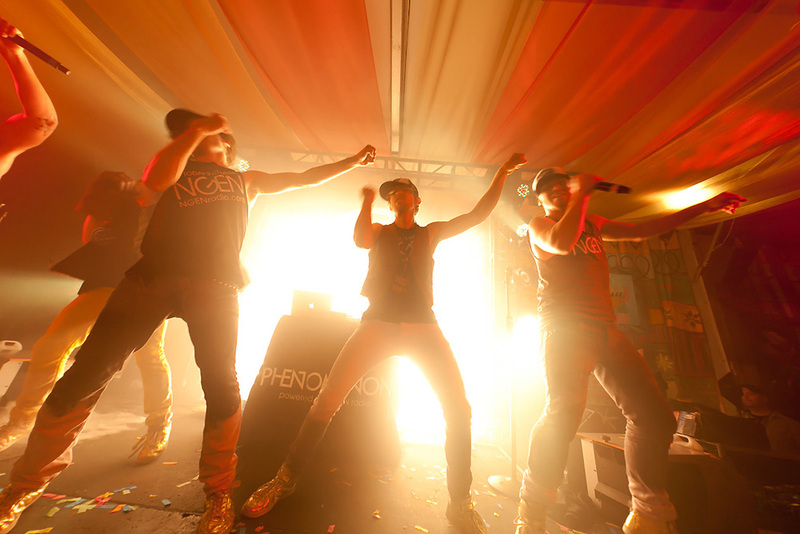 EnHansen Design programmed the concert lighting for Family Force 5’s spring and fall runs on WinterJam. 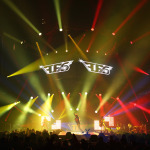 Had a hard hitting, fast and fun lighting/video show that stood out on the tour. 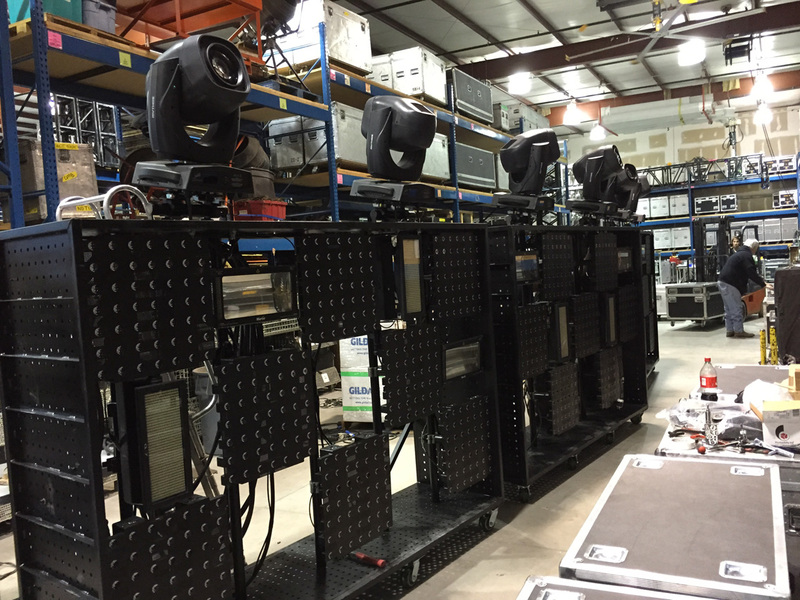 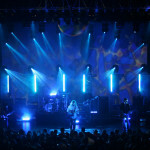 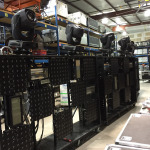 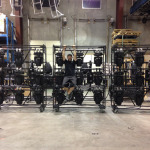 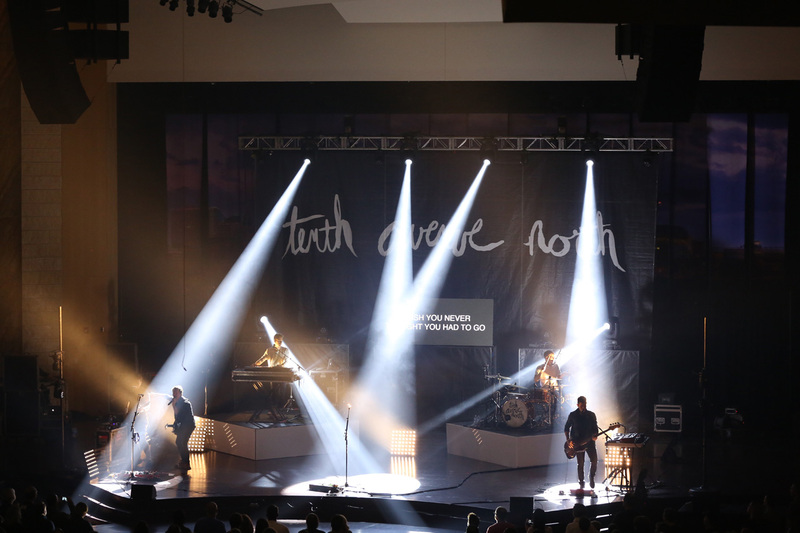 In the fall we designed two additional lighting carts to add more stage presence. 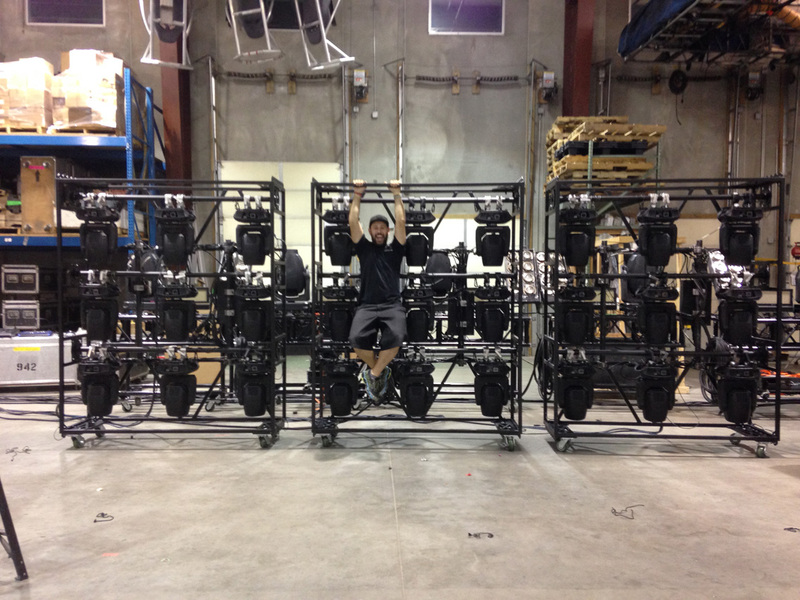 Synced the entire light and video show to SMPTE Timecode to ensure accurate playback all year. 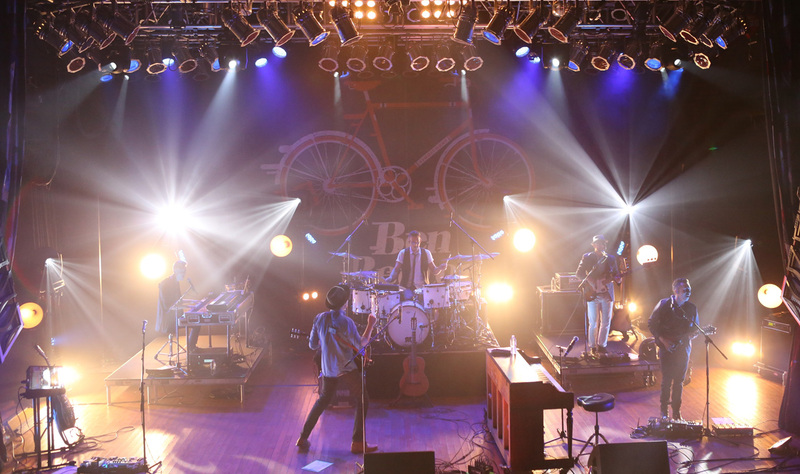 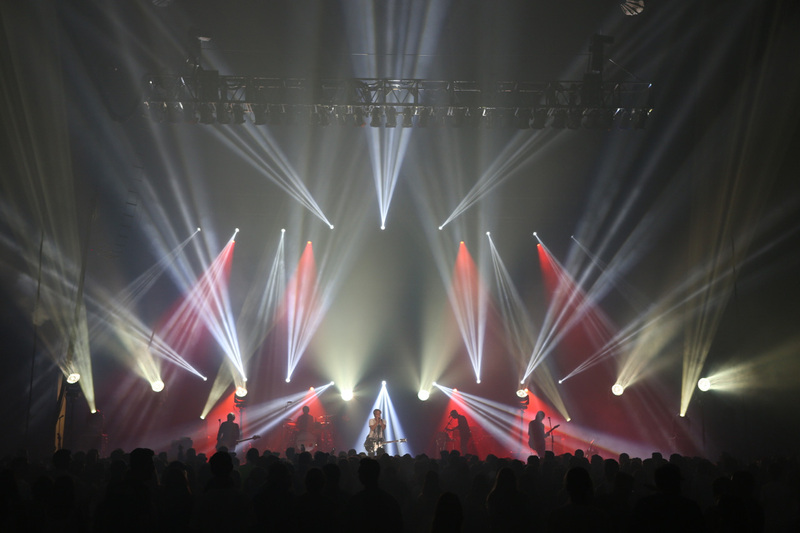 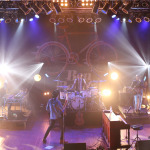 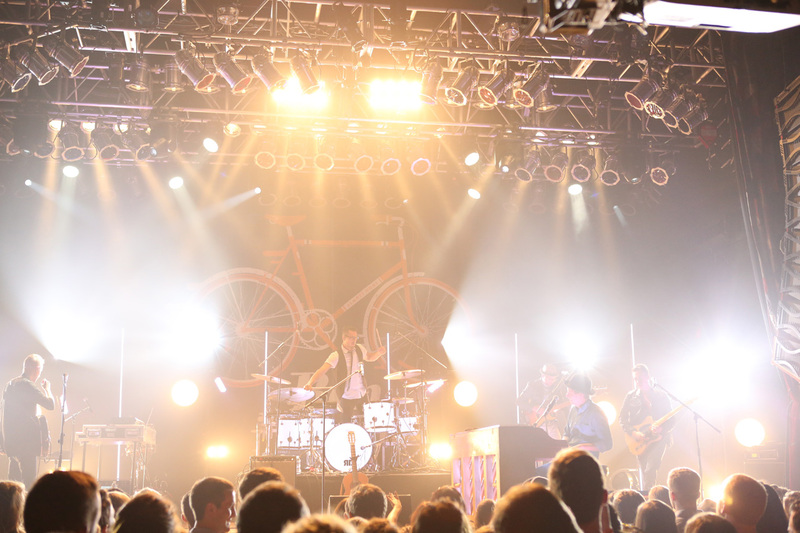 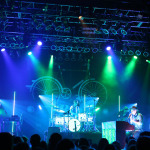 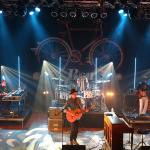 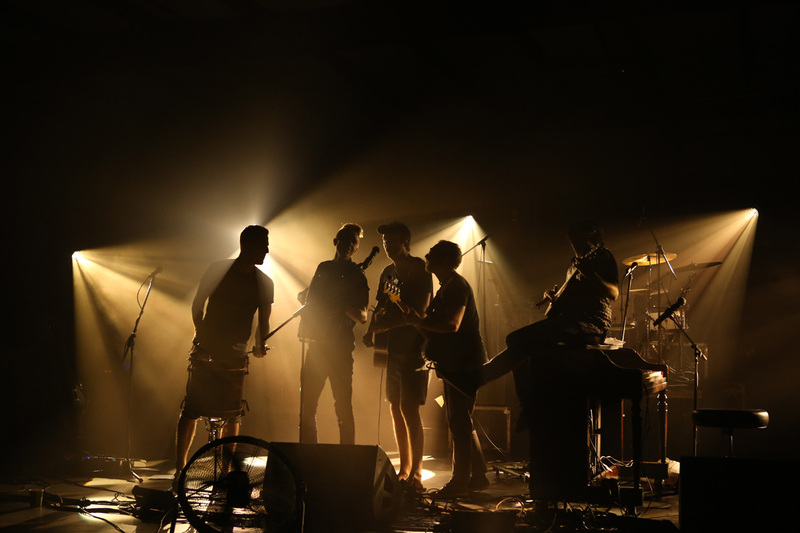 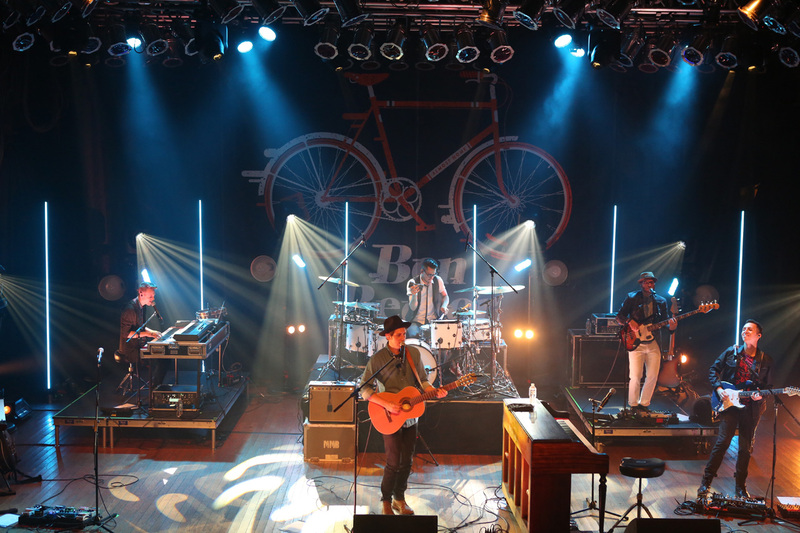 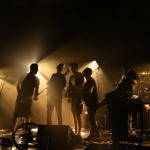 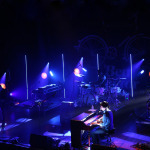 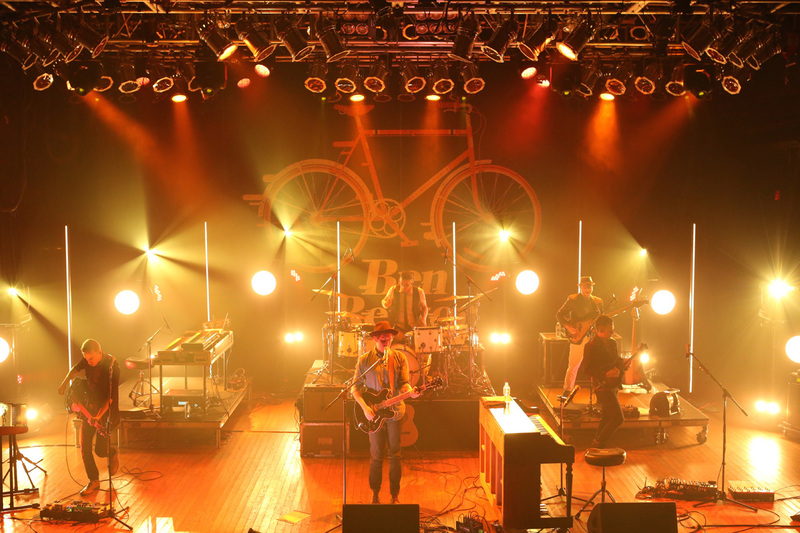 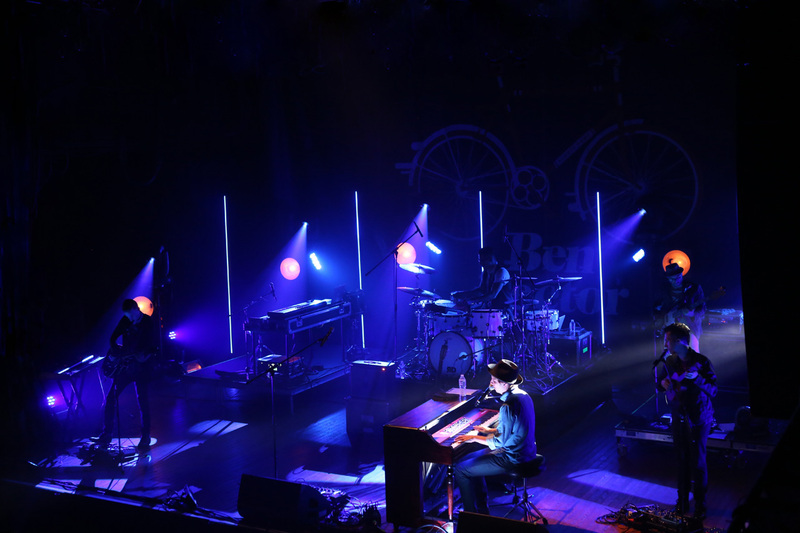 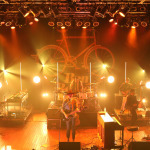 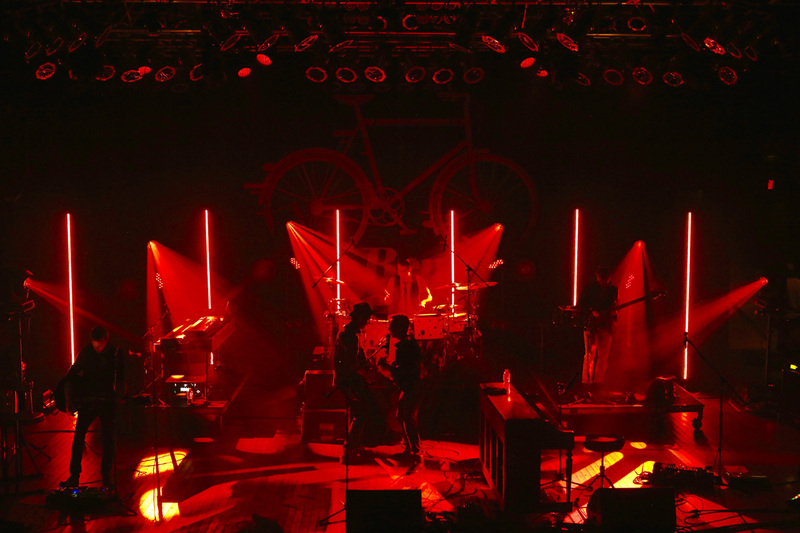 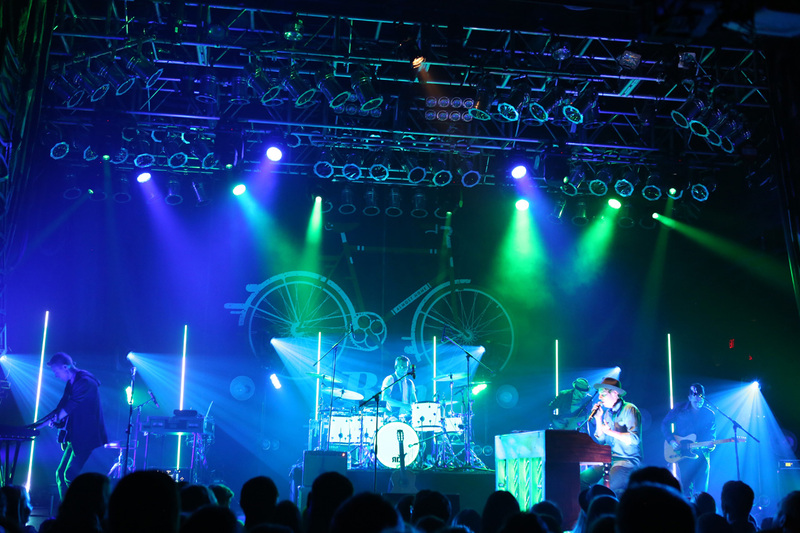 EnHansen designed and programmed a bold concert lighting show to support Ben Rector on his fall tour. 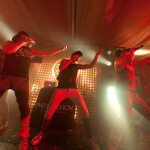 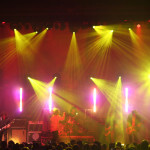 The band needed a show that would fit in a small space while packing a big punch and making a statement. 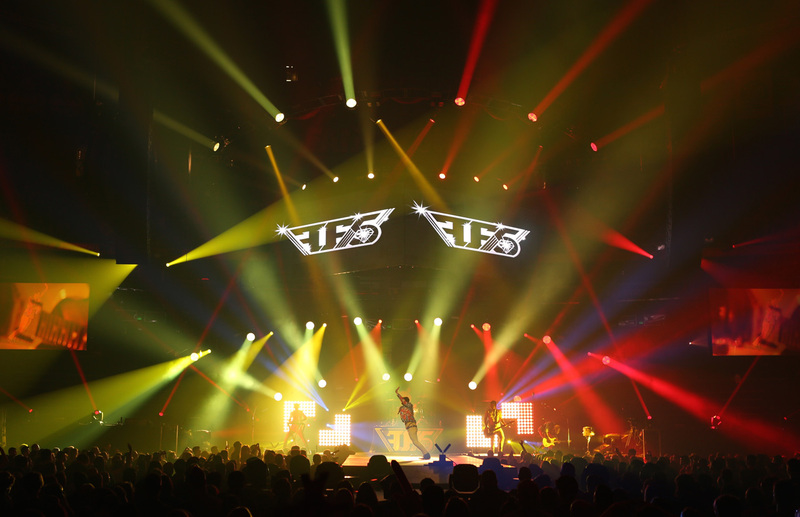 Fabricated LED set elements added depth and dynamics to the stage. 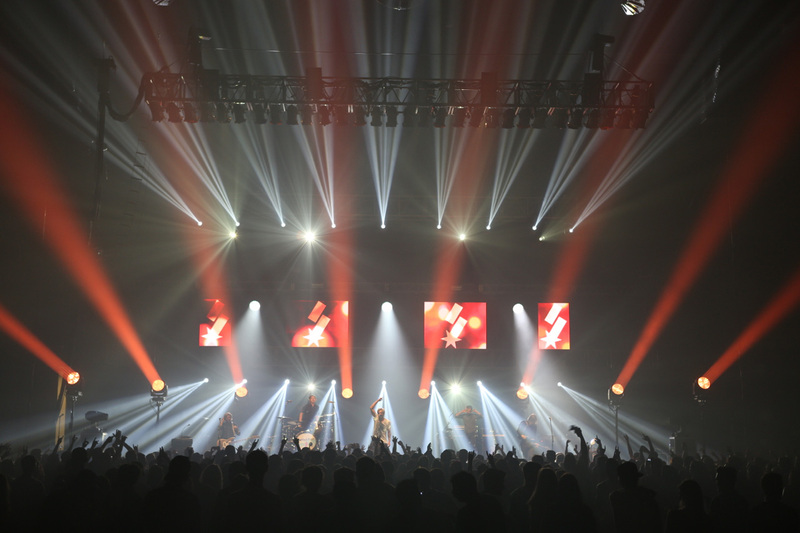 We continue to design and tour with Switchfoot. 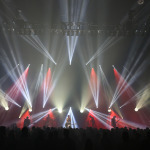 Had custom lighting carts fabricated which added a lot of beams to the show, yet minimizing set up time. 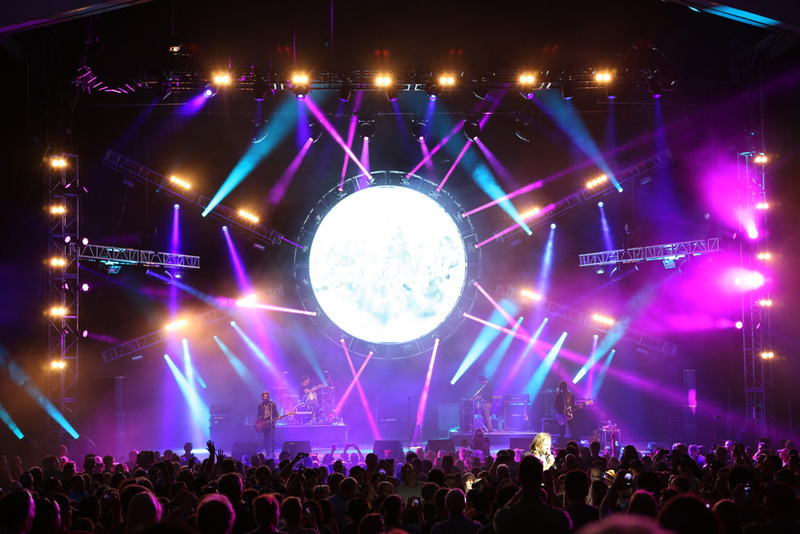 EnHansen supplied production design for one of the largest free festivals in the country. 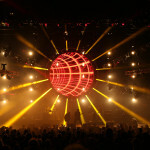 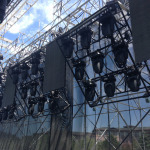 We designed a concert lighting rig that had lots of depth and fun angles, to make a visually unique statement for this festival and the artists that played it. 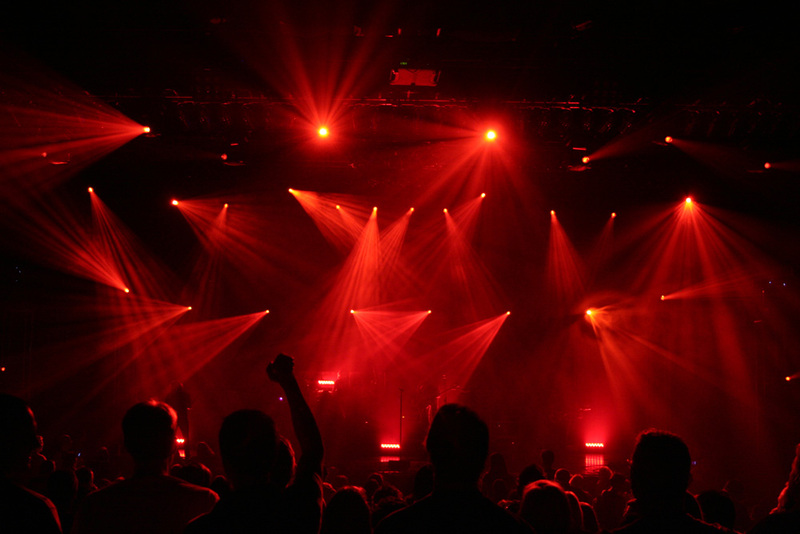 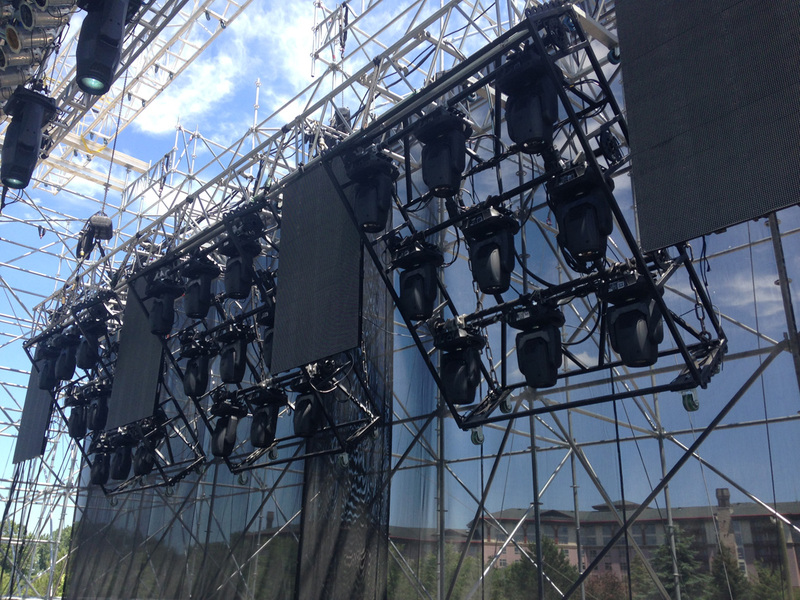 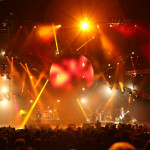 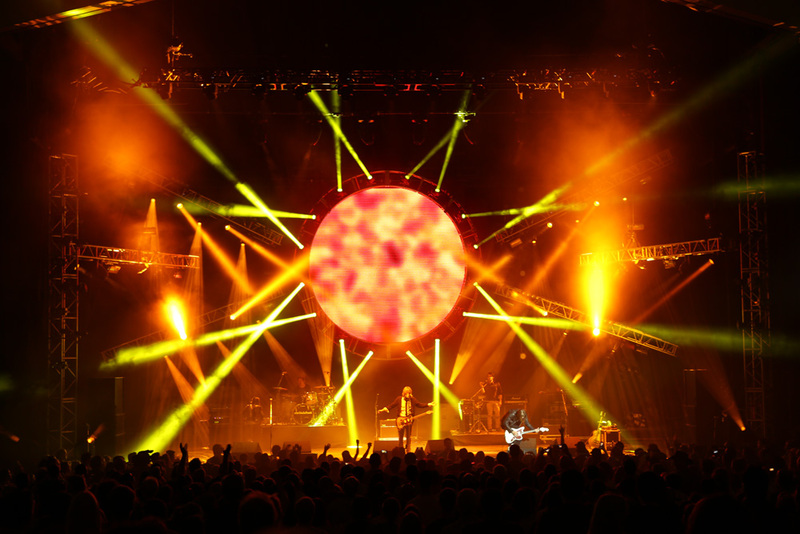 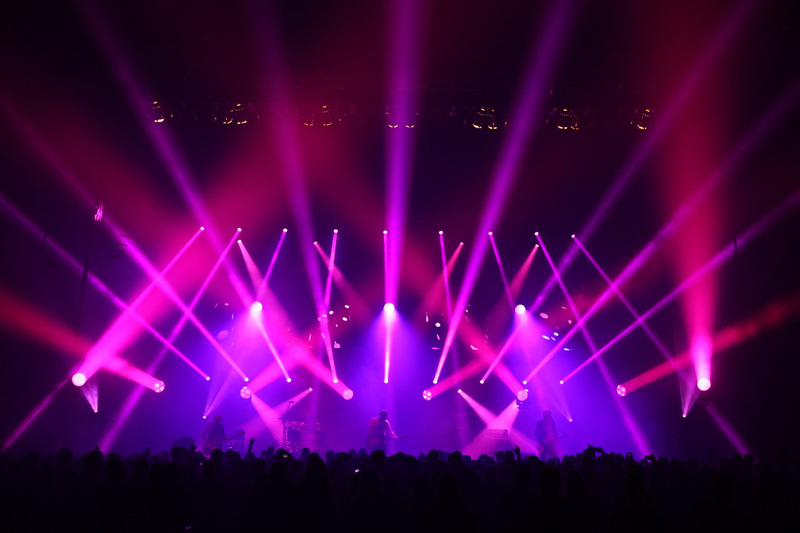 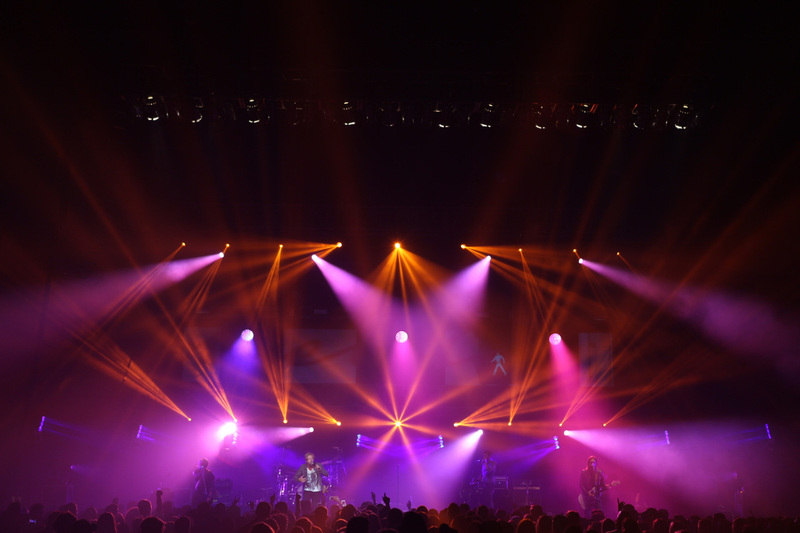 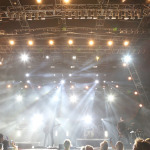 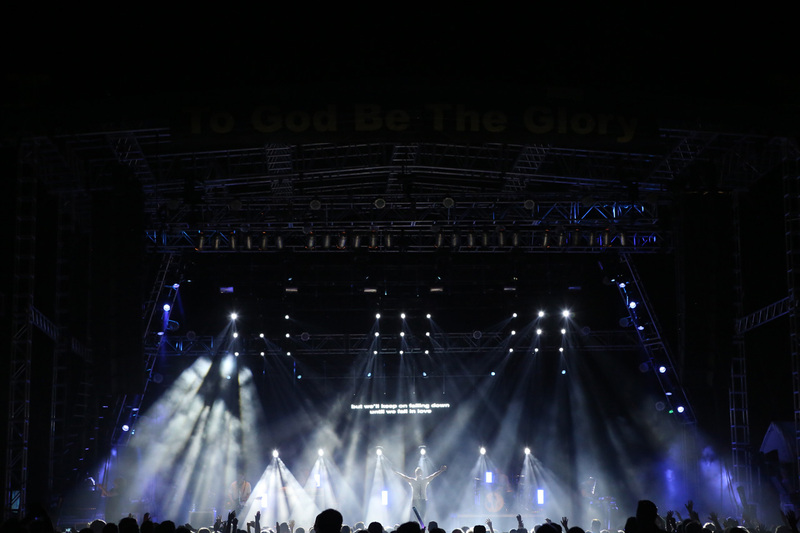 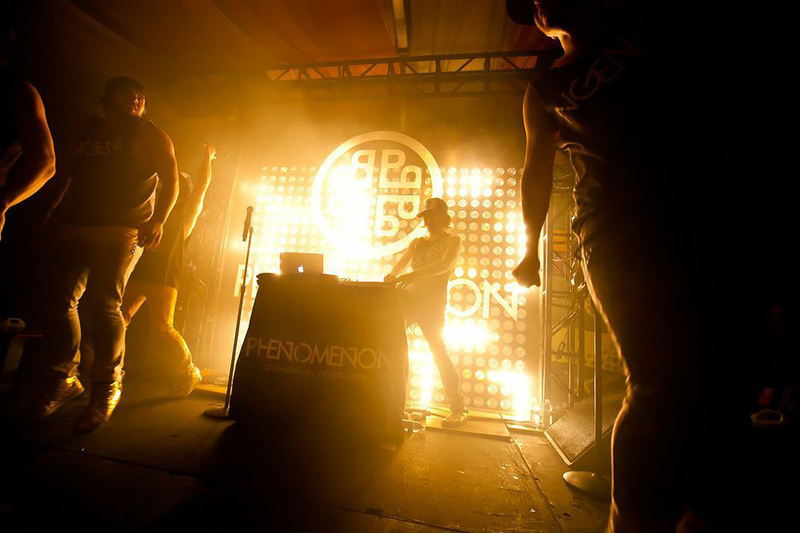 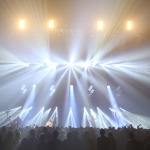 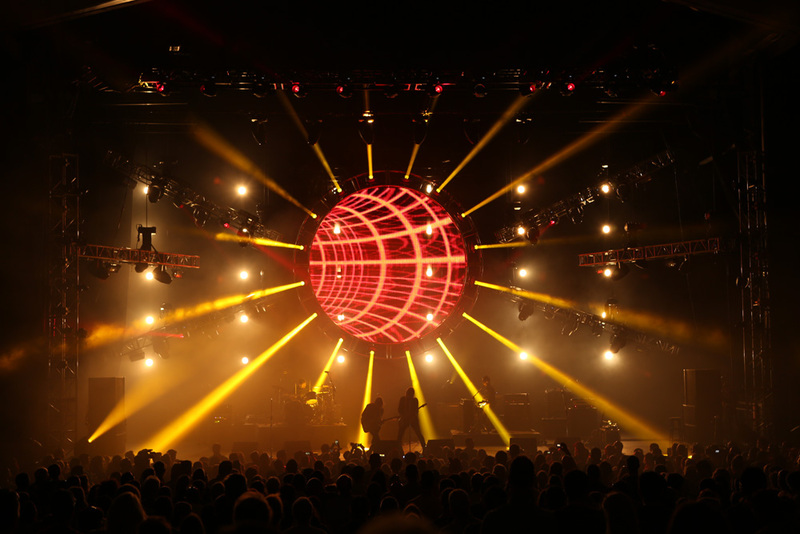 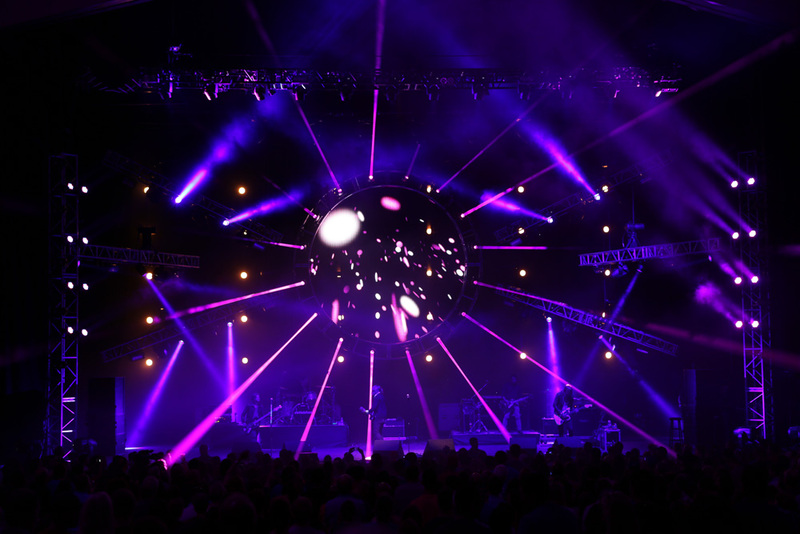 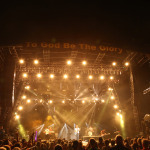 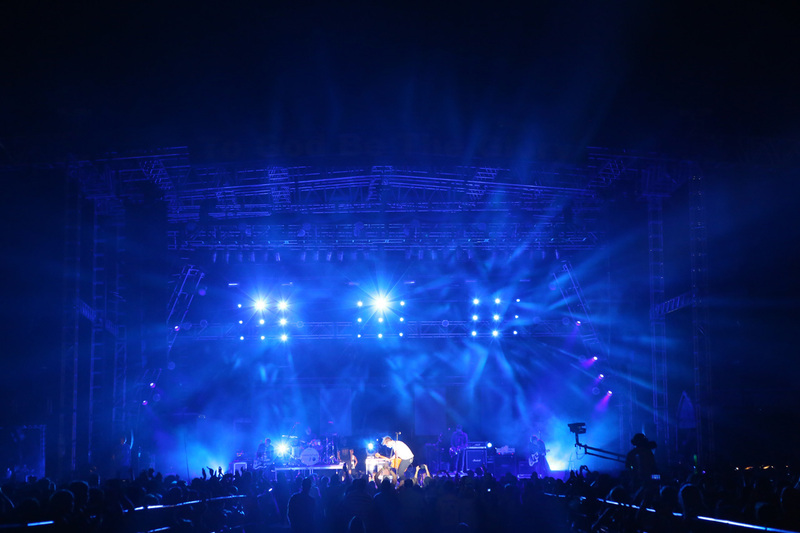 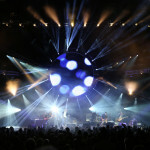 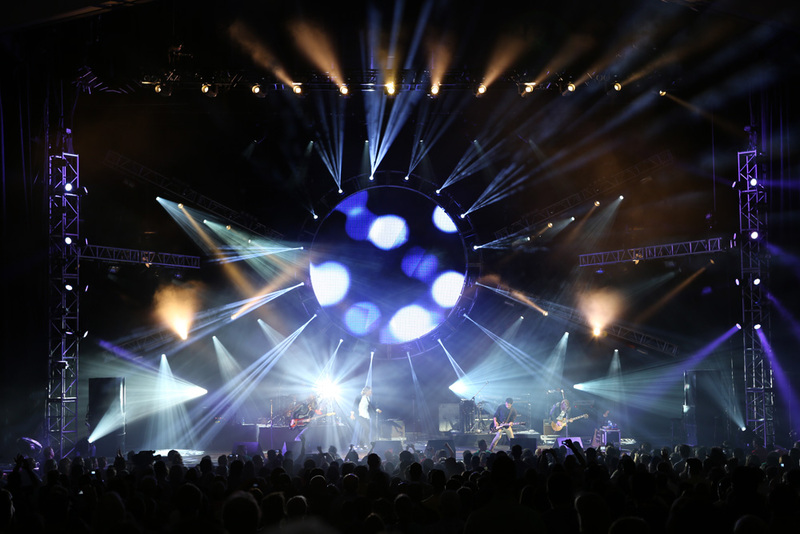 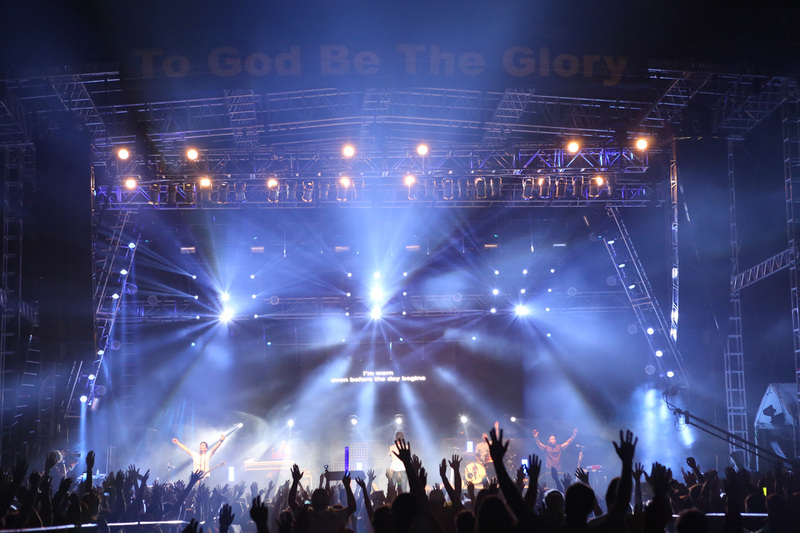 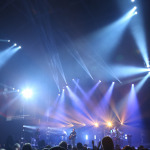 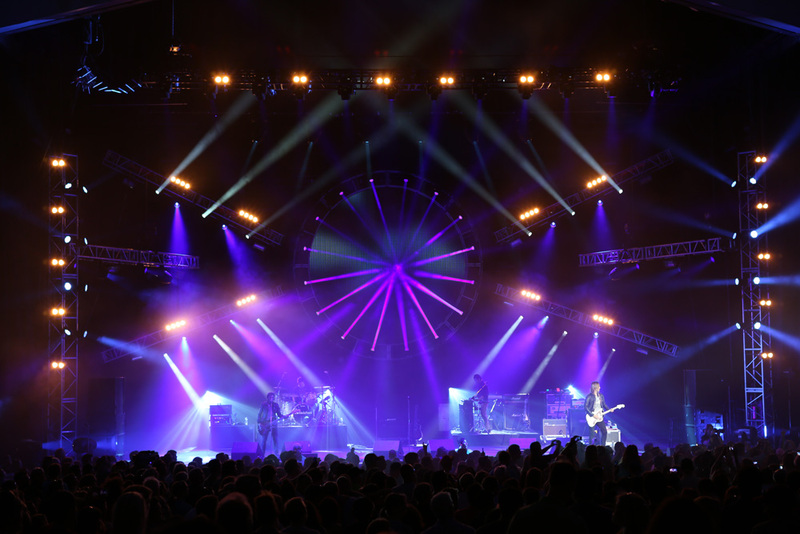 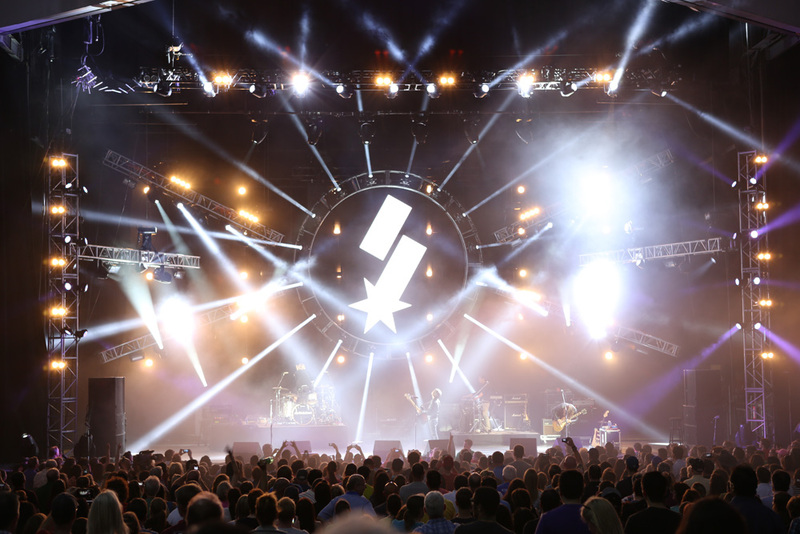 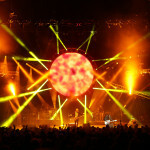 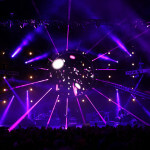 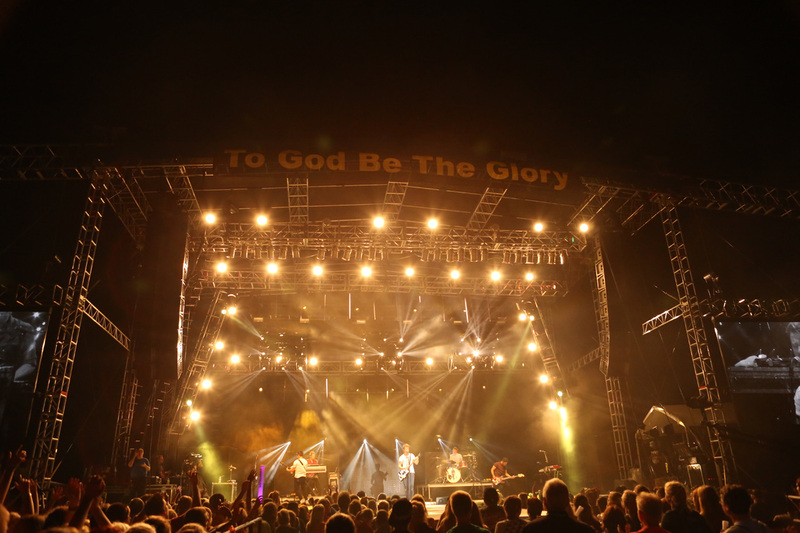 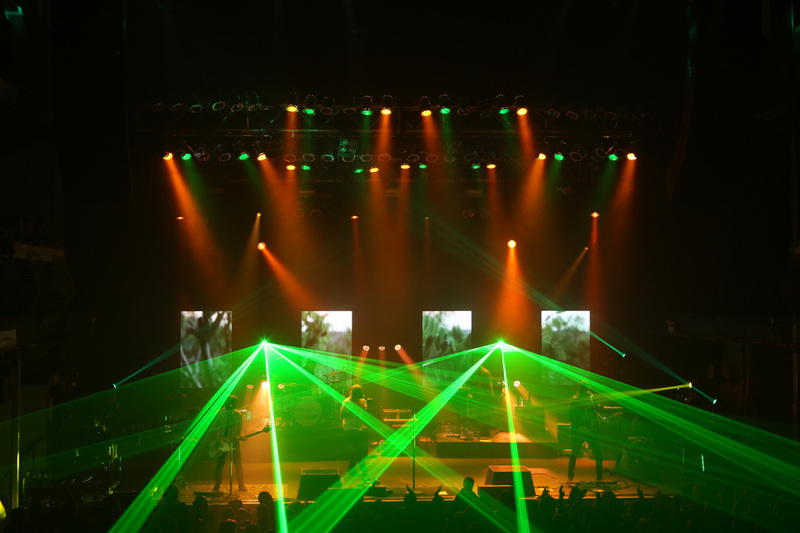 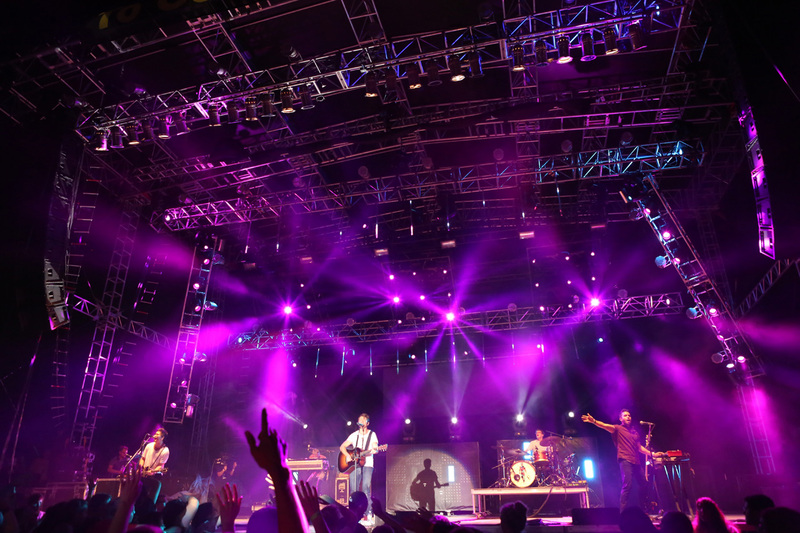 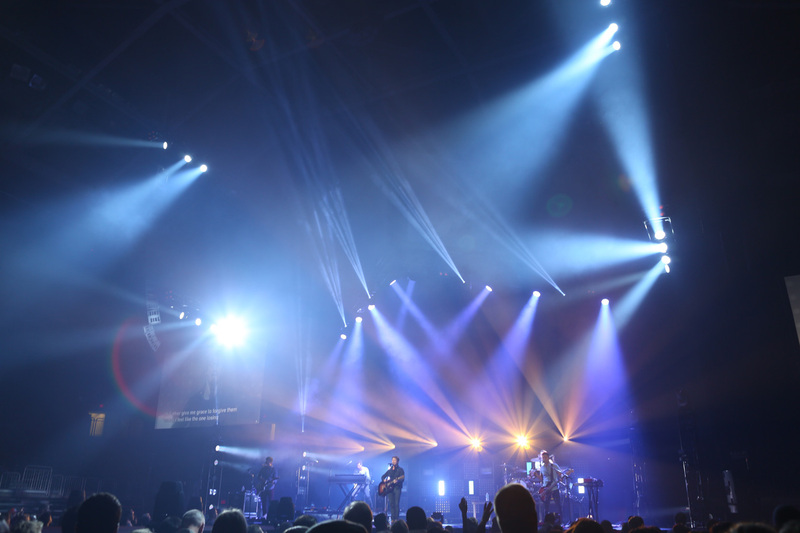 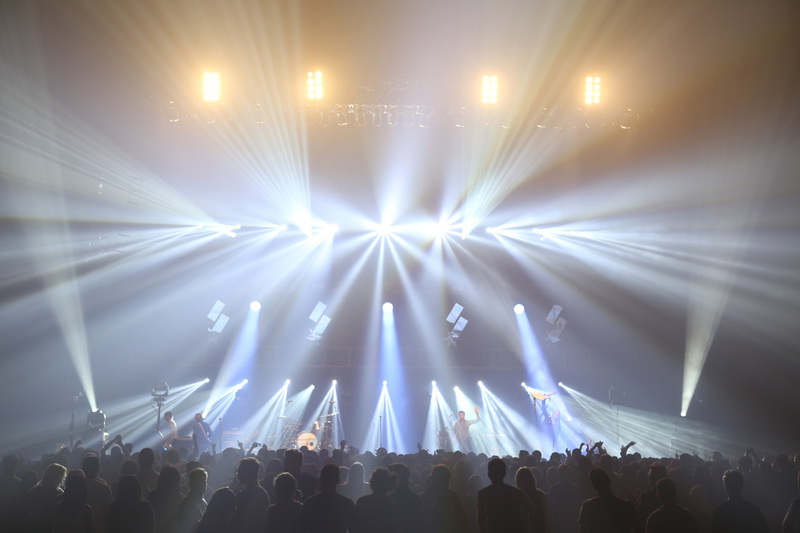 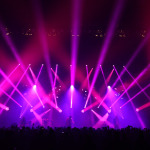 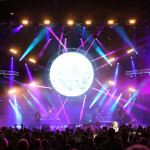 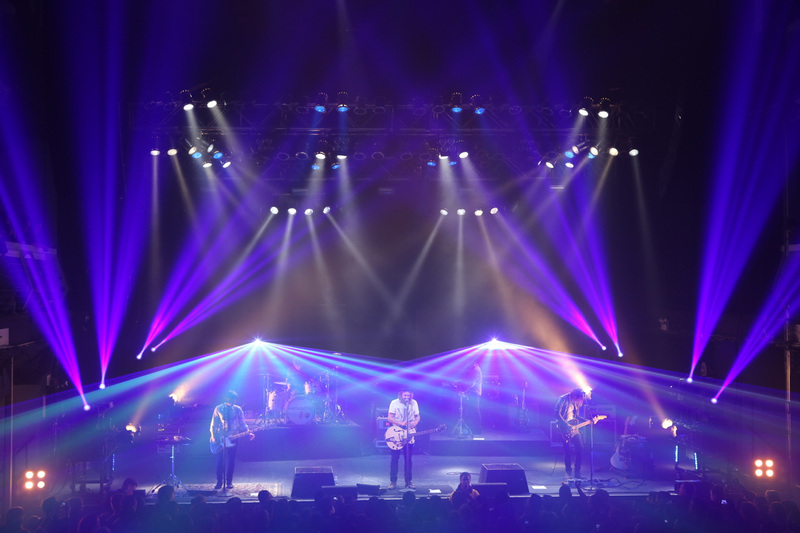 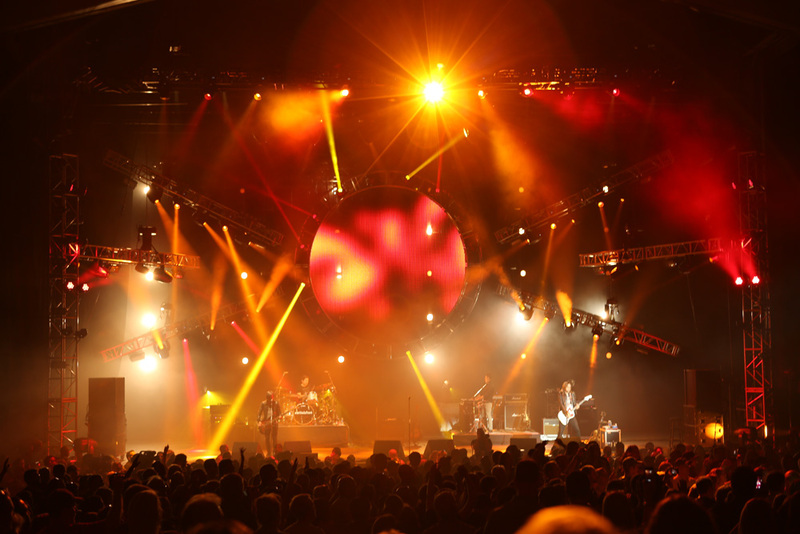 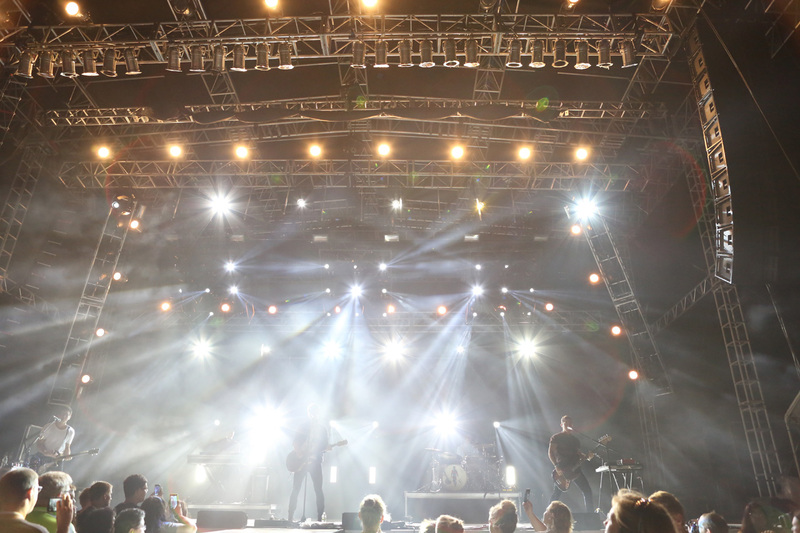 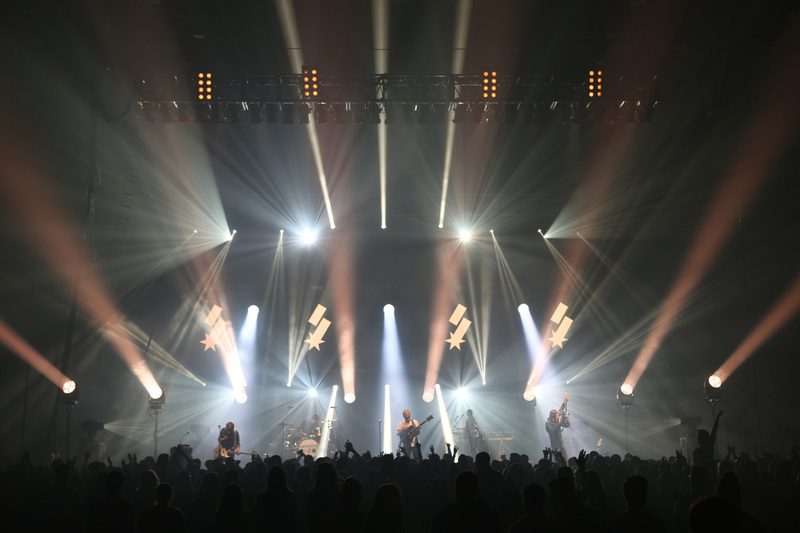 EnHansen developed concert lighting for the KSBJ 30th Anniversary Concert — a large-scale, one-day music festival with multiple stages in 2014. 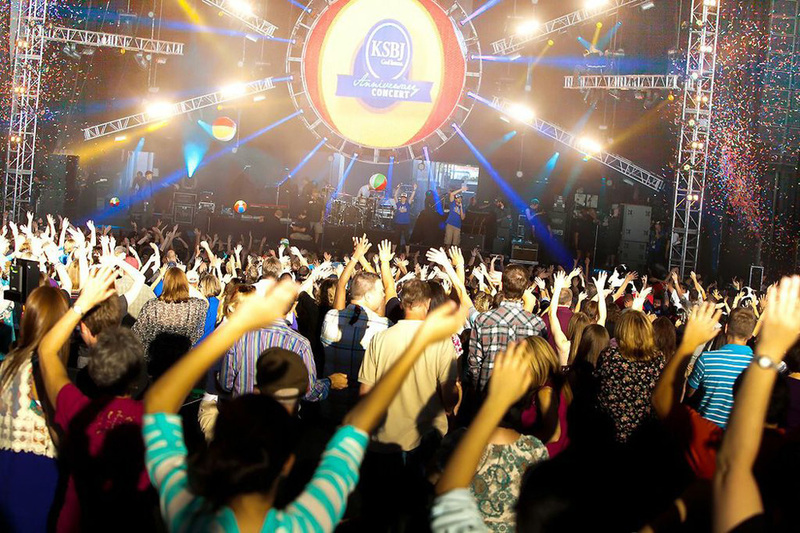 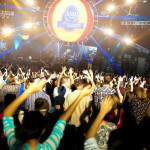 Taking KSBJ’s vision, we designing a next level show that wowed the 16,000 people in attendance. 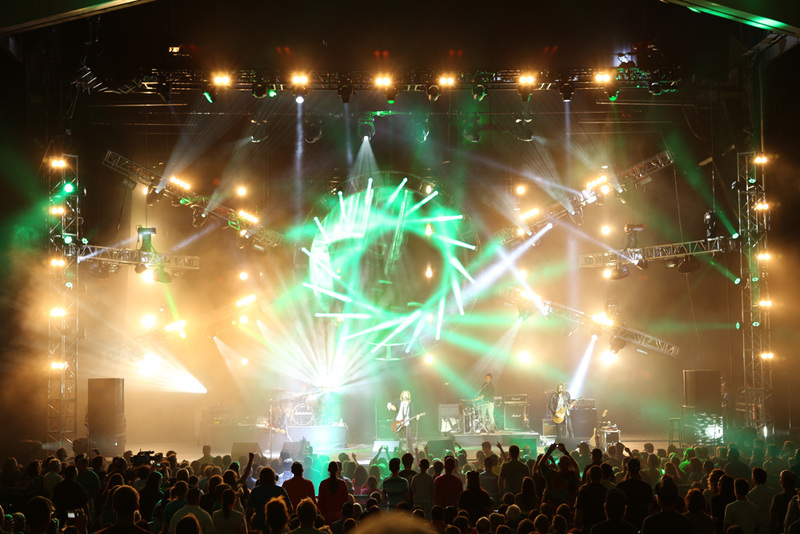 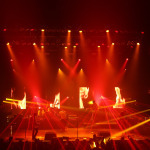 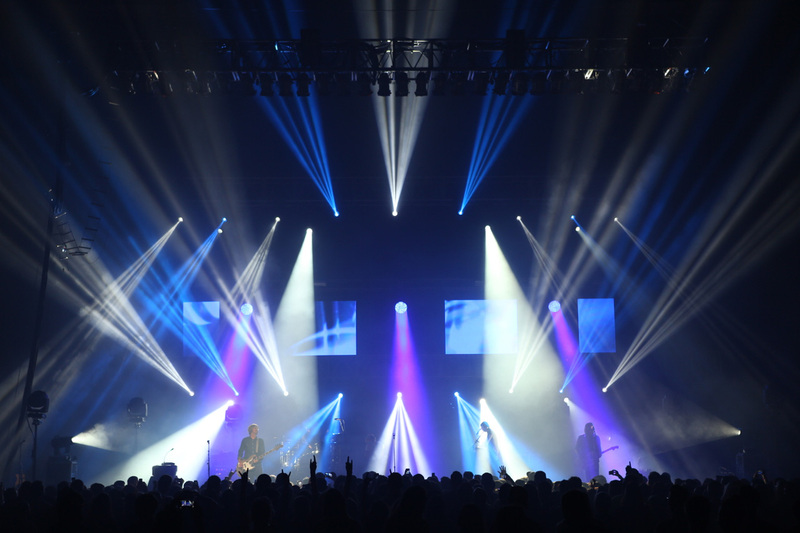 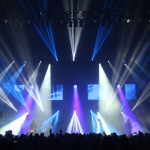 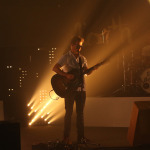 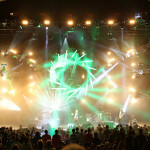 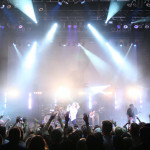 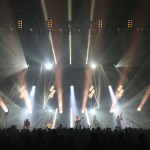 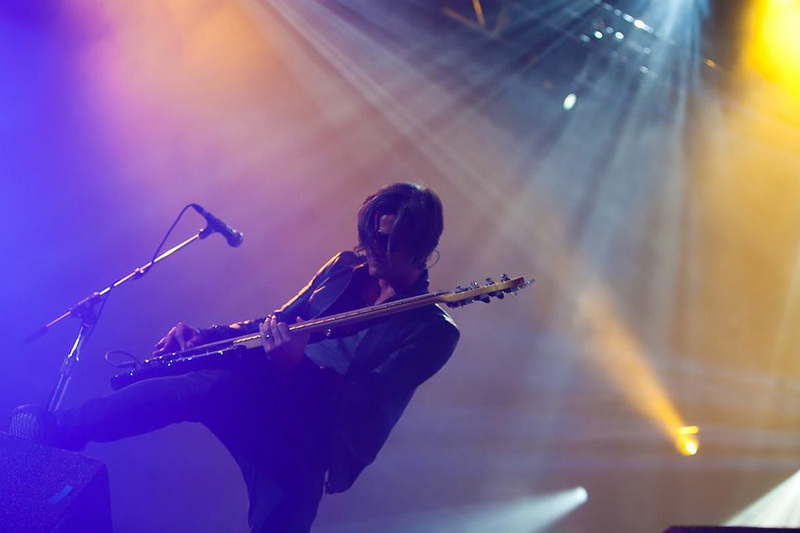 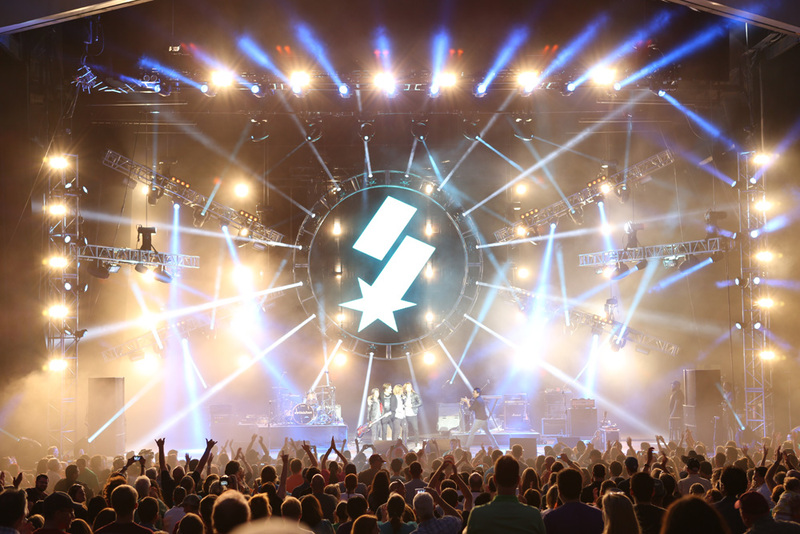 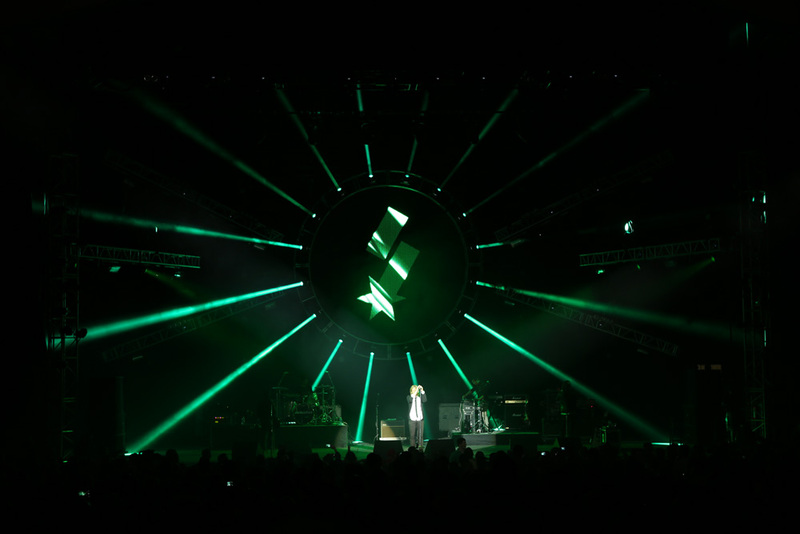 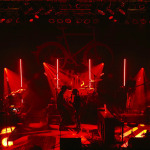 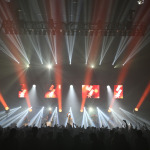 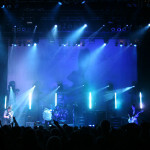 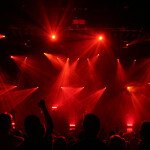 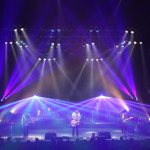 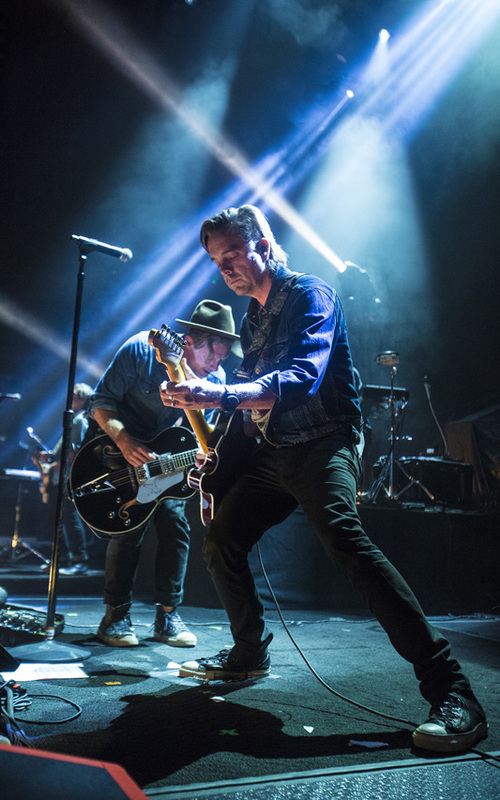 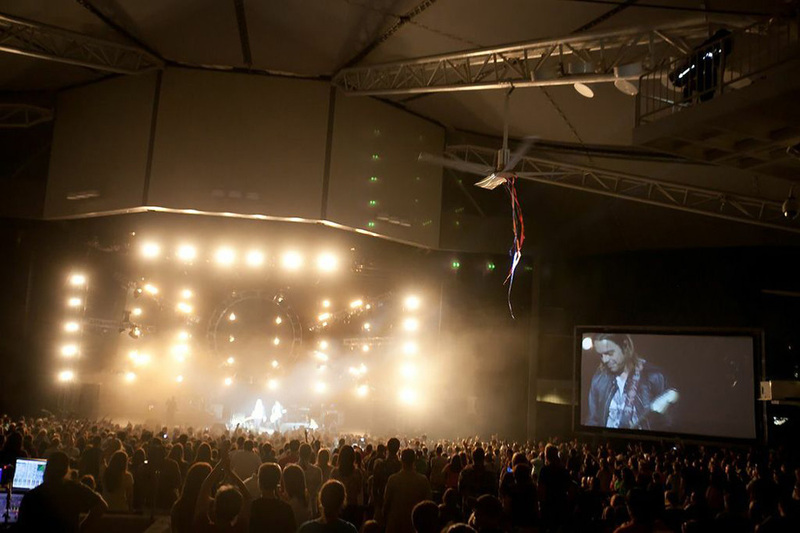 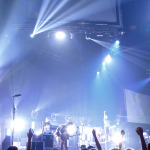 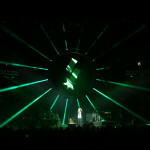 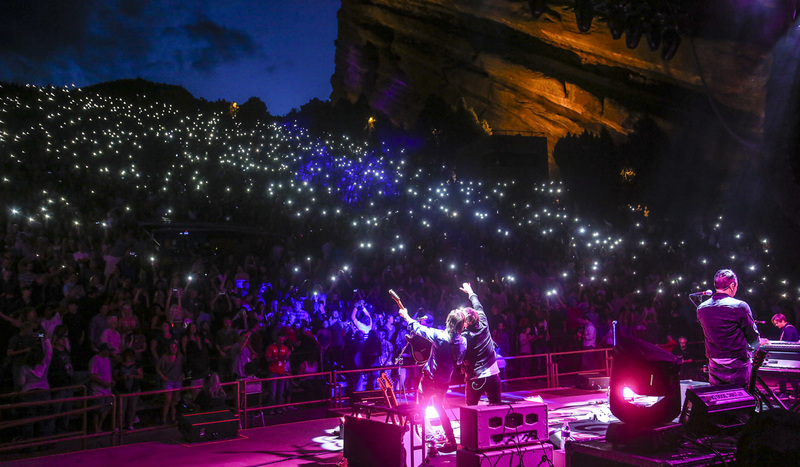 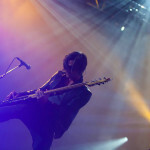 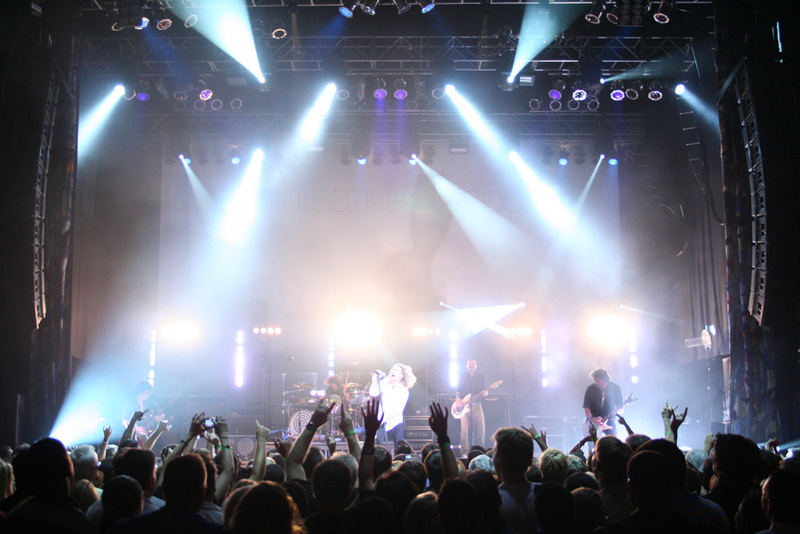 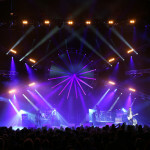 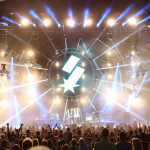 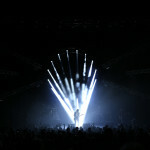 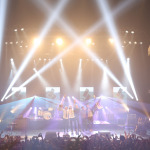 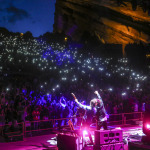 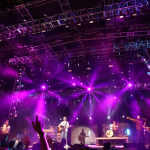 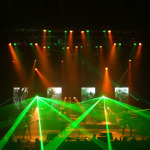 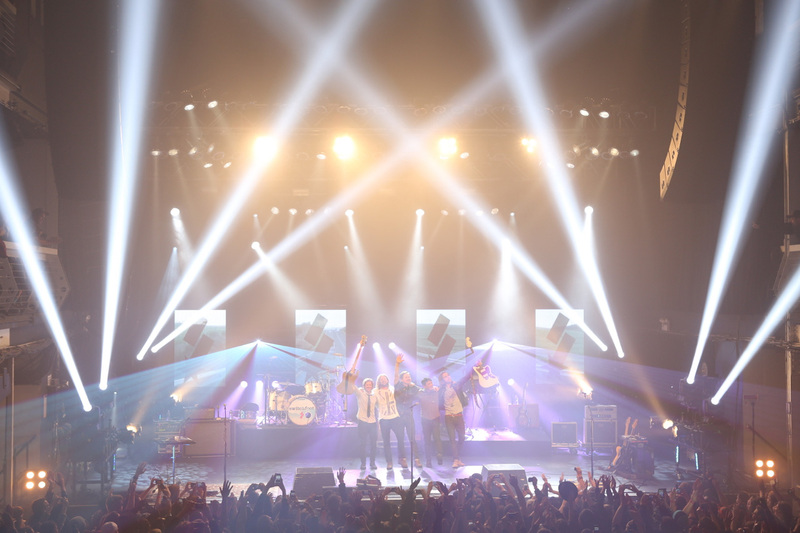 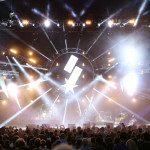 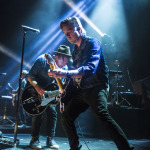 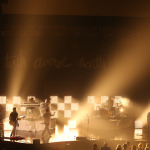 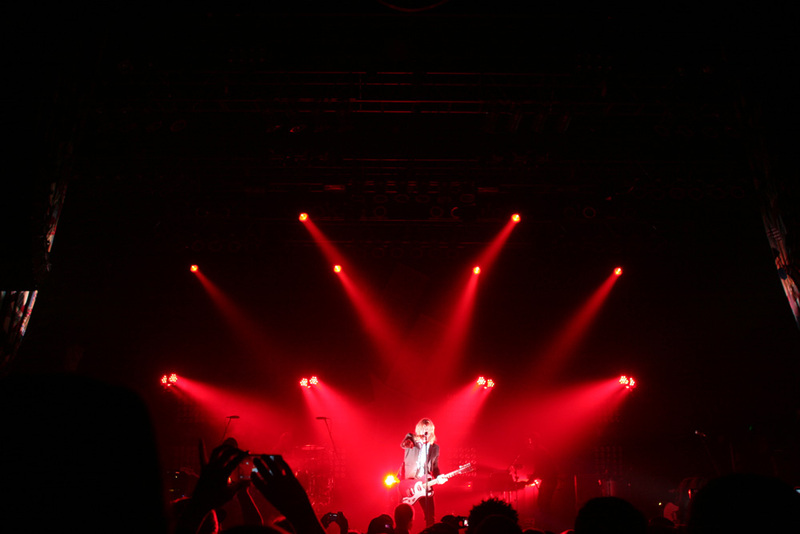 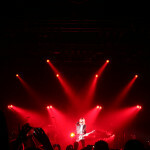 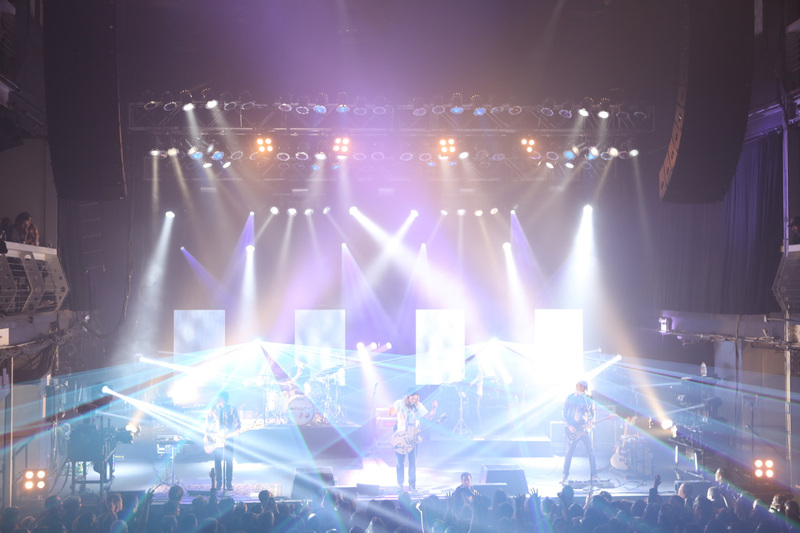 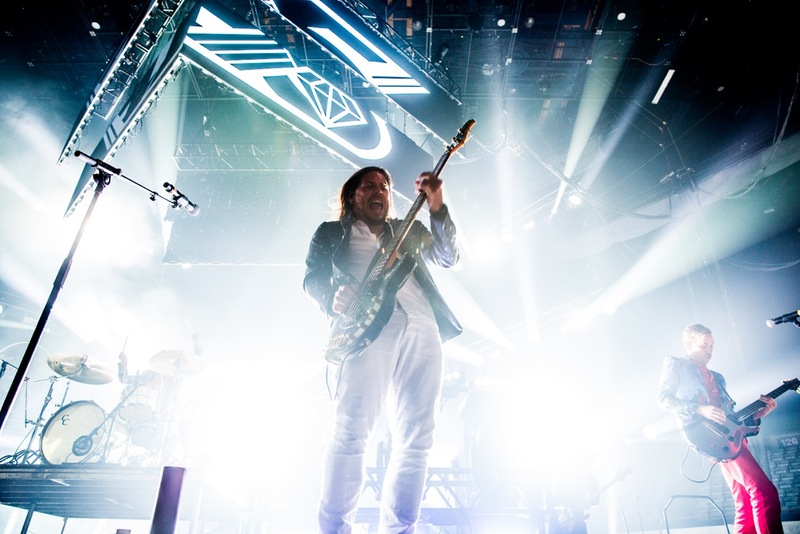 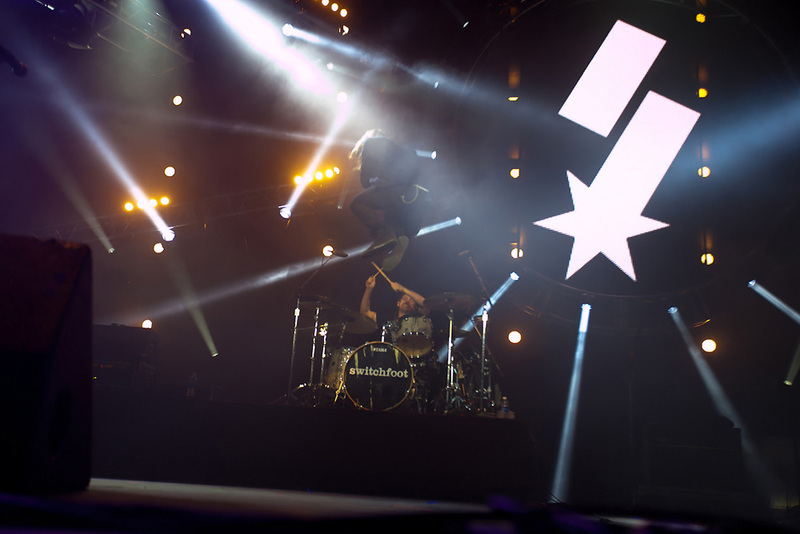 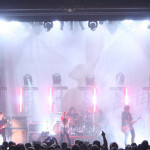 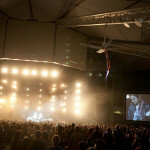 Enhancing Switchfoot’s show with fast and vivid lighting and video design. 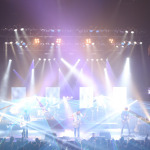 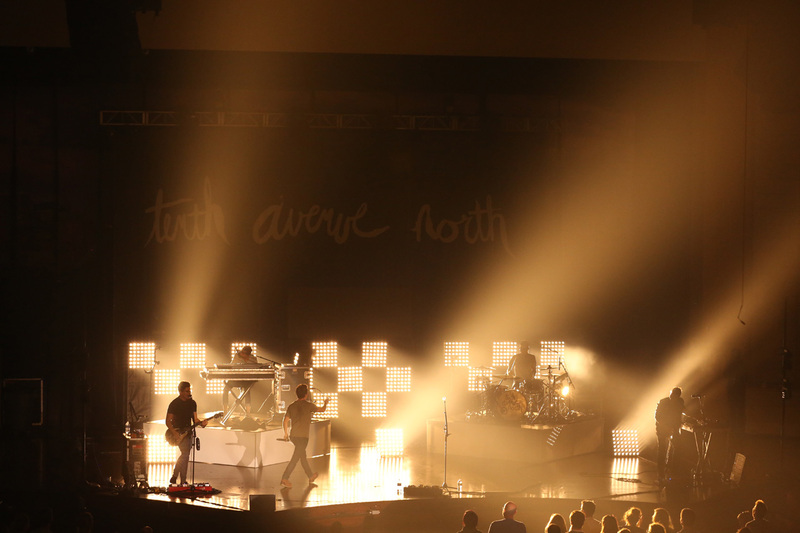 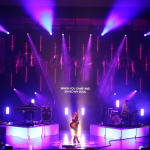 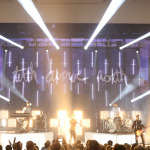 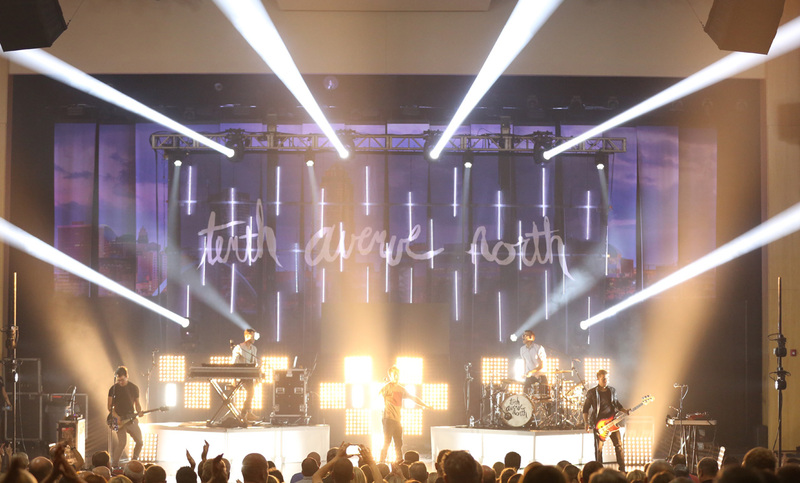 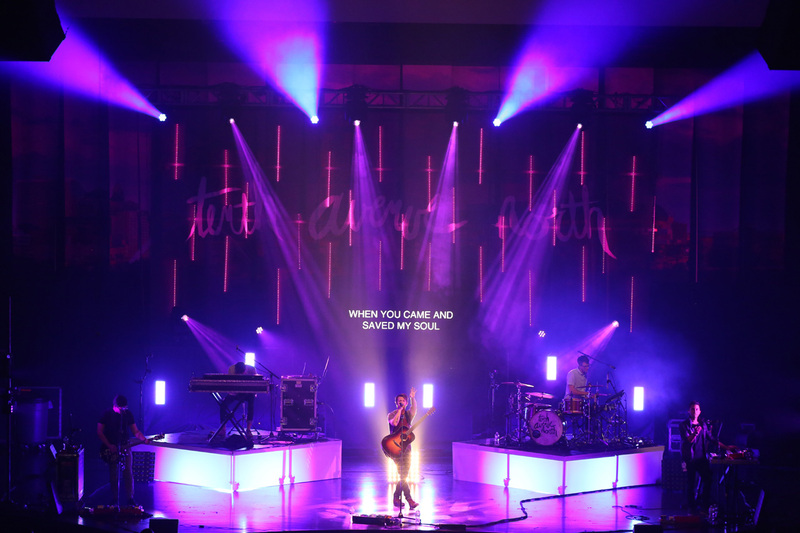 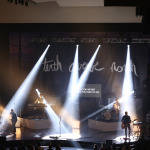 EnHansen Design continues to work with Tenth Avenue North to bring an exciting show with fabulous concert lighting effects to a city near you. 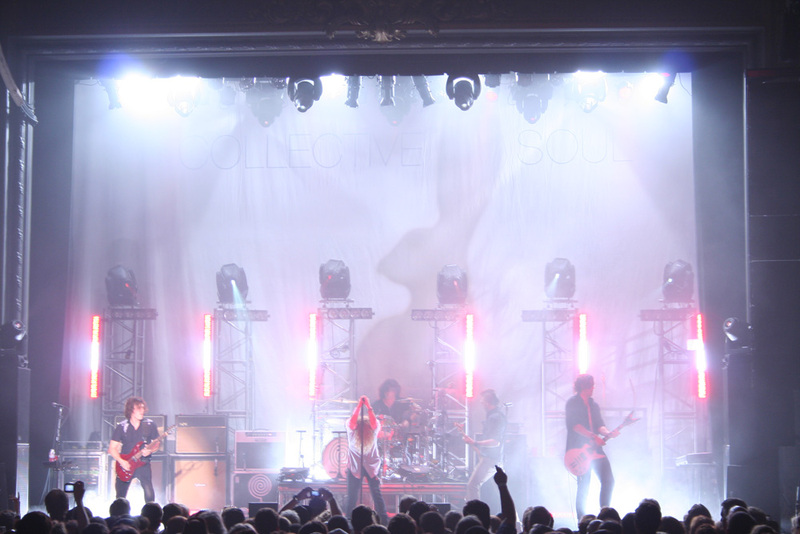 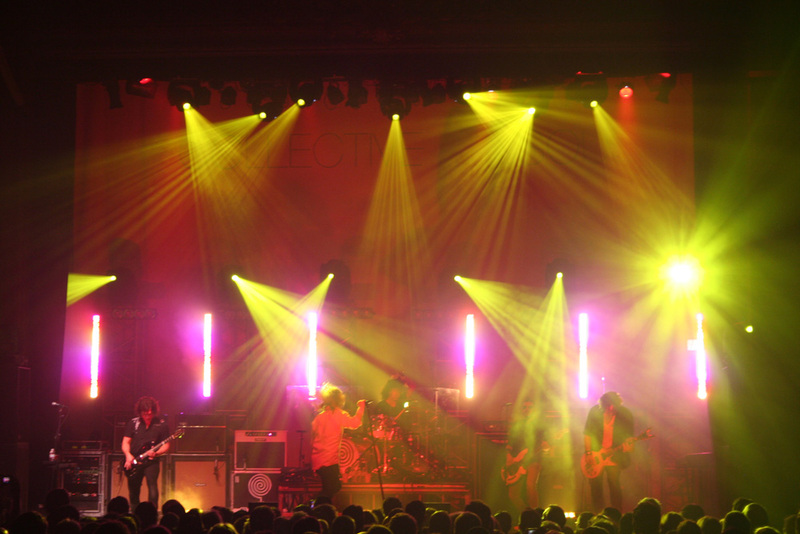 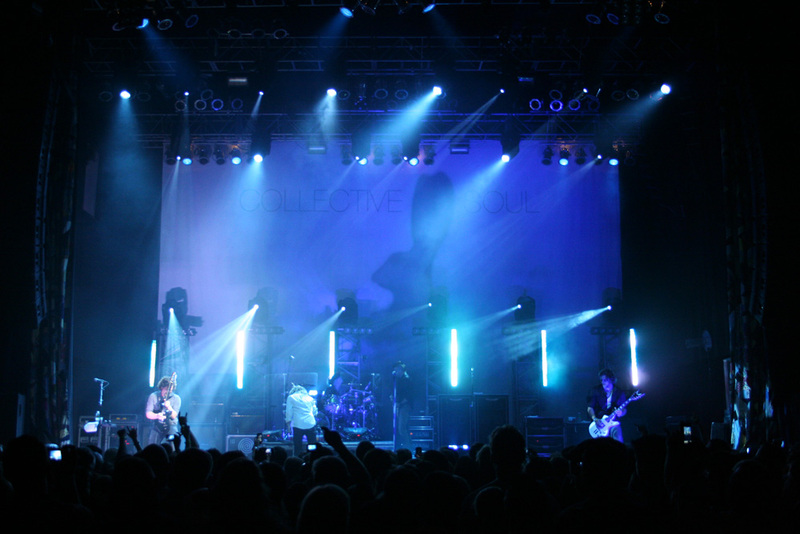 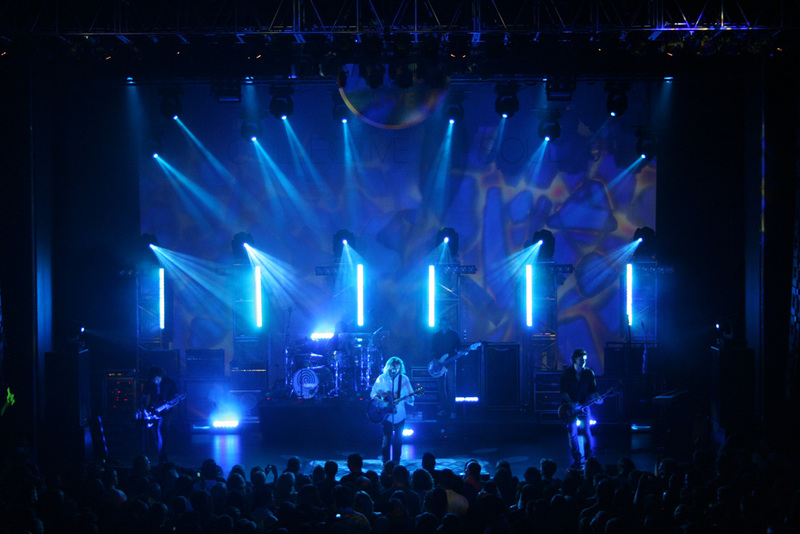 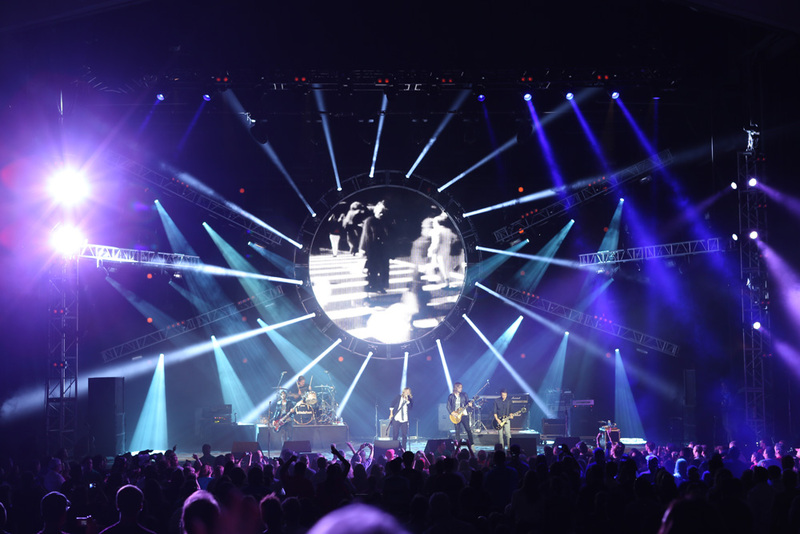 Multi-Platinum band Collective Soul chose EnHansen Design to create custom concert lighting design to enhance their rock show.